I welcomed 2016 in Munich, Germany where I spent the last days of 2015. One of my former colleagues now lives and works in a small Bavarian town Bad Tölz, just an hour by train from Munich and sometime in September we decided with my boyfriend to go and pay her a visit. The trip lasted just a few days, but it feels like it has been a long week since we did and saw so many things – visited one fashion and two art exhibitions, travelled to Salzburg, Austria for a day-trip, got acquainted with the history of Audi cars and wandered around Munich and Bad Tölz, of course. I think the highlight of the whole trip was the amazing exhibition of Jean Paul Gaultier´s haute couture fashion From the Sidewalk to the Catwalk at Kunsthalle Munich. I had never seen any haute couture show close up and I was totally amazed by the abundance of details, the crazyness of the ideas, the unbelieveable use of materials and how it altogether looks really-really beautiful. The exhibition has been displayed in several locations since 2011, the one in Munich will remain open until February 14th, so if possible, go and see it in the heart of Europe before it is taken to Seoul where it will be from March 26 to June 30, 2016! I am adding a few photos here, but there are many better quality ones out online, if you search. I am just trying to show the level of detail in some of the creations. We also saw the special exhibition of Klee & Kandinsky in Lenbachhaus and the current exhibitions in Pinakothek der Moderne. There was a slight disappointment in Ingolstadt as we went there to see the Audi Forum and mainly I wanted to see how the cars are made in the plant, but we could only see the museum part, since the assembly work was stopped for holidays. As a teenager I once visited Mercedes Benz plant in Germany (I don´t remember where exactly and it appears there are several) and it was a very exciting experience. However, totally unexpectedly the small town of Bad Tölz offered its own highlights to our trip. This is a place I really want to go back to for a relaxing and sporty holiday in summertime, since you can do water sports on the river Isar and cycle or walk on its banks in beautiful surroundings. Somehow I took only a few photos (probably because I was all ooh! and aah! for the beauty of it), but the atmosphere there was great, complete with beautiful traditional houses and bright sunlight. 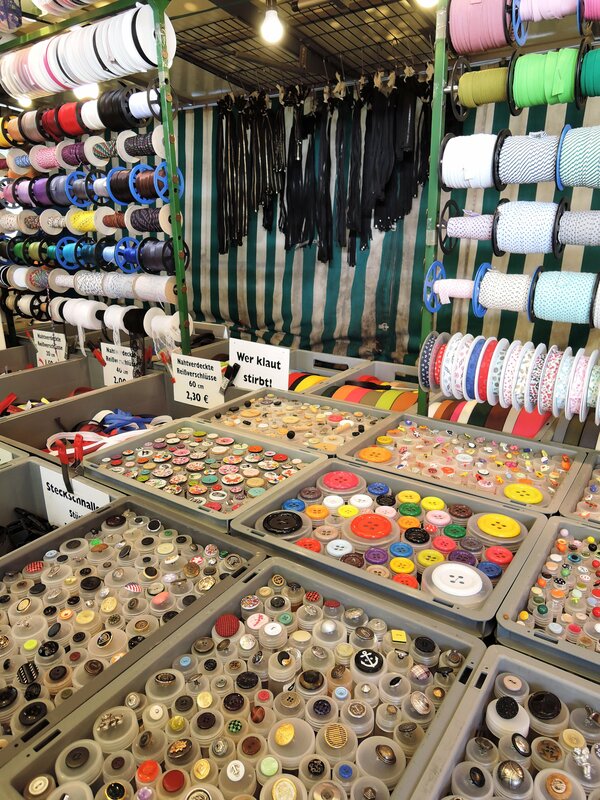 This idyllic place also has a fabric shop that offers, among the dirndl-fabrics, some interesting fashion fabrics as well. However, I did not buy anything, as I had already bought too much on the first day in Munich. 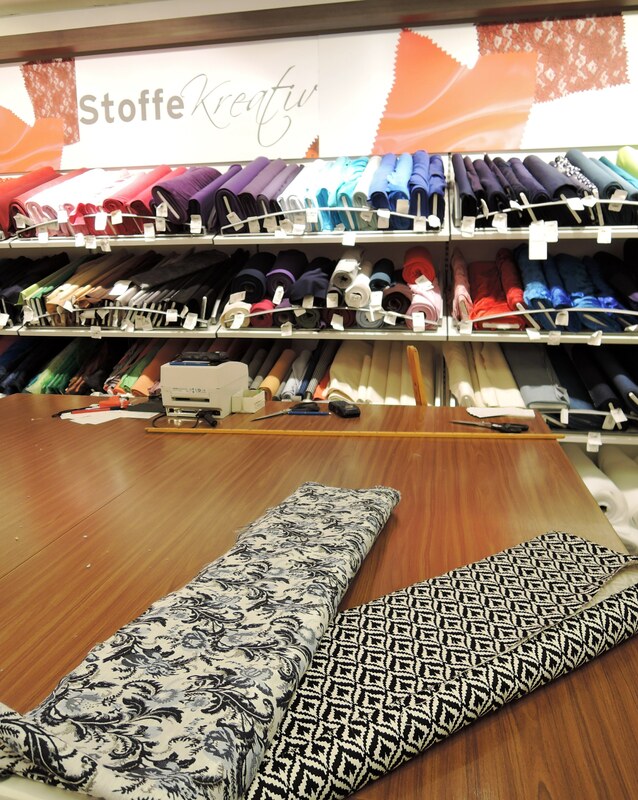 I only visited two shopping malls (Karstad and Oberpollinger) and their fabric departments, because of lack of time, but since everything was on sale, I got more than I should have at a great price. 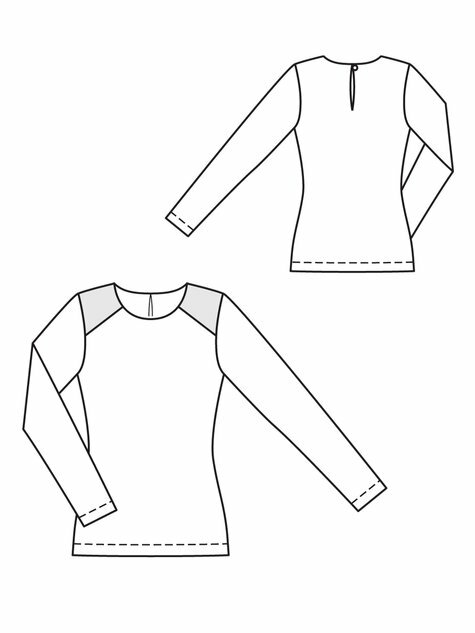 They are both jerseys, the first more like a scuba knit and heavier, while the second one is more lightweight. The price? 6.99 and 4.50 euros per meter respectively! 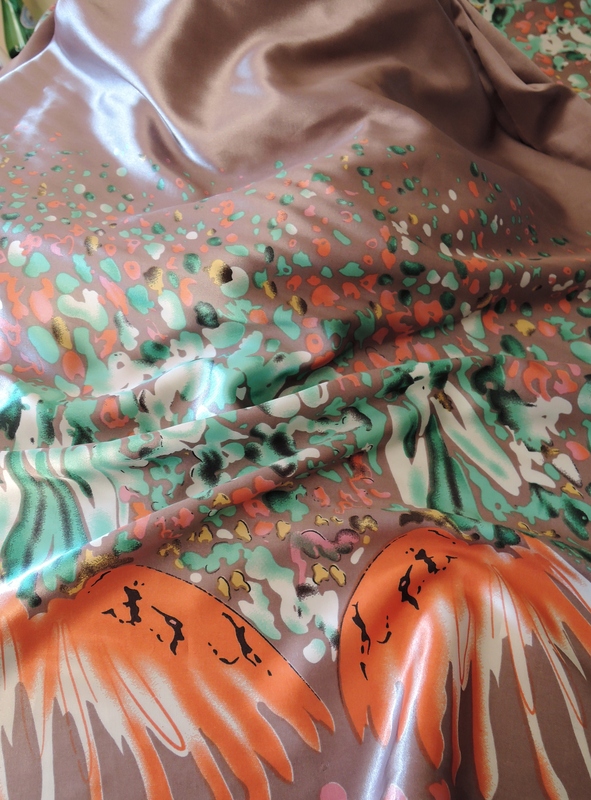 The prints are quite loud but hey, this is why I sew – to have the luxury of occasionally extravagant and maybe not so seriously practical clothes since I can make whatever I like! I also got a perfectly matching piece of lining for a dress I am planning to make and some special needles for microfibre fabrics. From Oberpollinger I only got the last piece of a dark green stretch fabric, exactly enough for a pencil skirt. Their selection is also very interesting though, I had to restrict myself very hard. On the last day of the year we visited the Festung Hohensalzburg in Salzburg, Austria, just before heading back to Munich to celebrate the Sylvester (New Years Eve) with our friends. Happy New Year! For all the sewing fans out there, I wish creative ideas and lots of finished objects! This years holiday took me to Hungary for a week full of unexpected events – a thunderstorm that robbed a big part of central Budapest of electricity for more than 12 hours and for a slightly shorter period, of water as well. In addition to that, our brand new rental car (less than 3000 km on the odometer) broke down on the first day. It may sound like an awful week, but my boyfriend has an extremely patient and calm mind, which he maintains even in situations where I would get totally upset, so in the end I only have positive emotions when I look back at the past week. 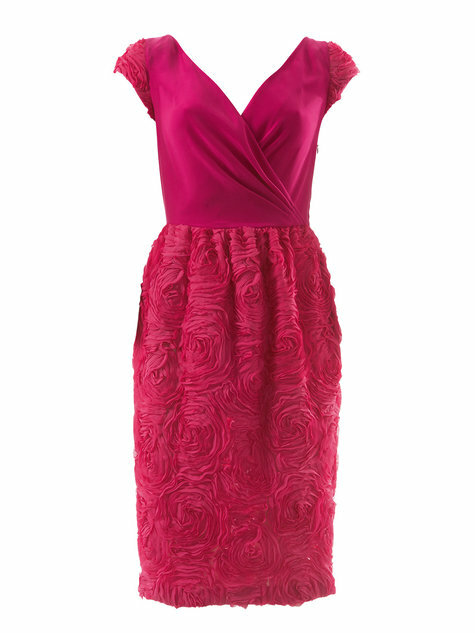 Plus, I got a new dress to show you! 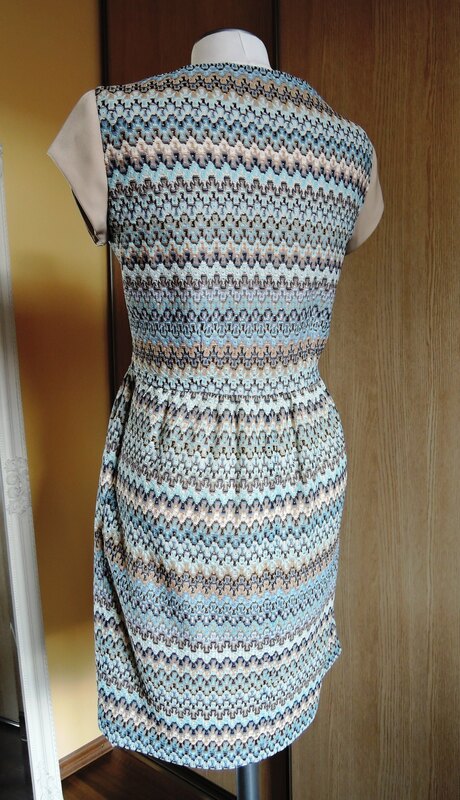 The dress is a simple and quick make, the pattern is model 109 B from BurdaStyle 04/2013, which is exactly what popped up in my head when I saw this pastel-toned Missoni-ish net at a local fabric store. I immediately found a matching cotton/poly mix fabric for lining and then combined all that with a cute metal zipper for the back. The pattern is very shoulder-revealing and the armholes generous, so not every bra fits under that dress – my advice to anyone trying this at home would be lifting the armscye by up to 2 cm. As you can see, I also made some minor changes to the pattern by omitting the side zipper and back neck slit, using an exposed zipper on the back instead. 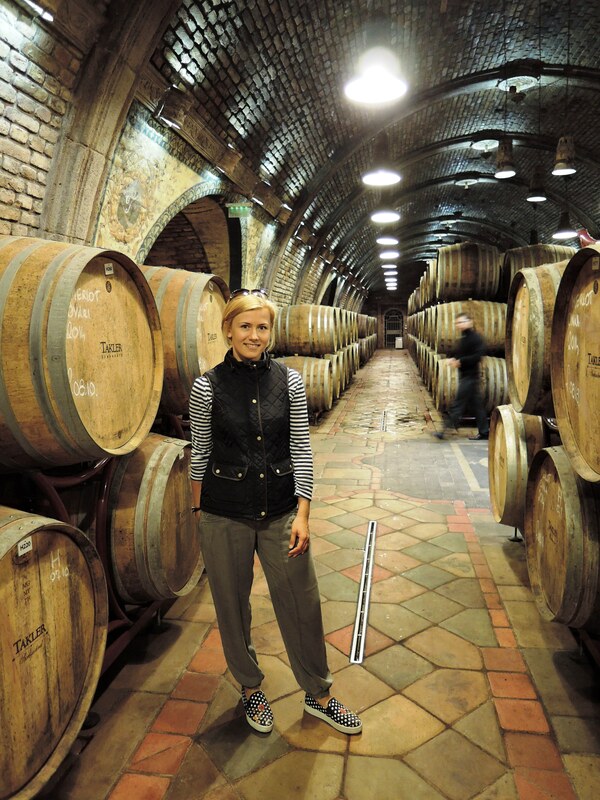 The photos were taken at Takler Kuria wine estate in Szekszard where we spent nearly two days just enjoying the surroundings, the wines and food. 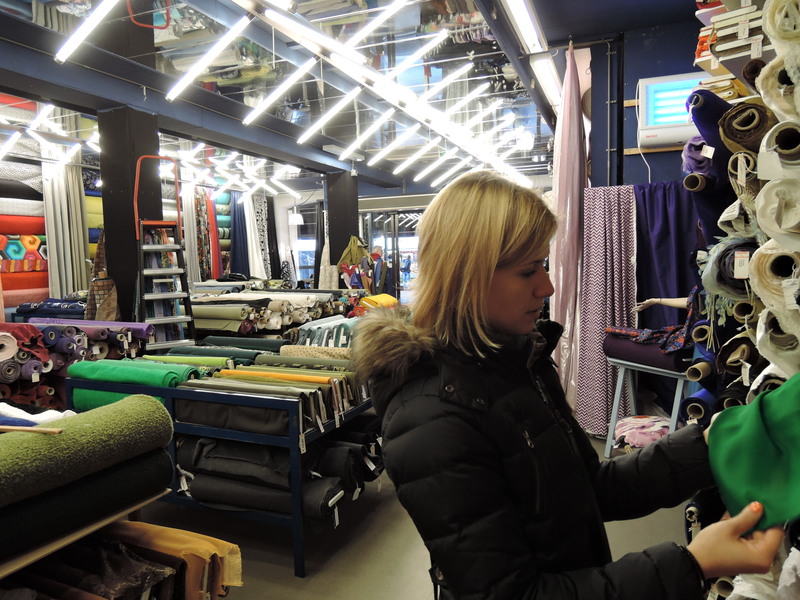 Prior to that we spent a few days in Budapest, where I did some fabric shopping as always. 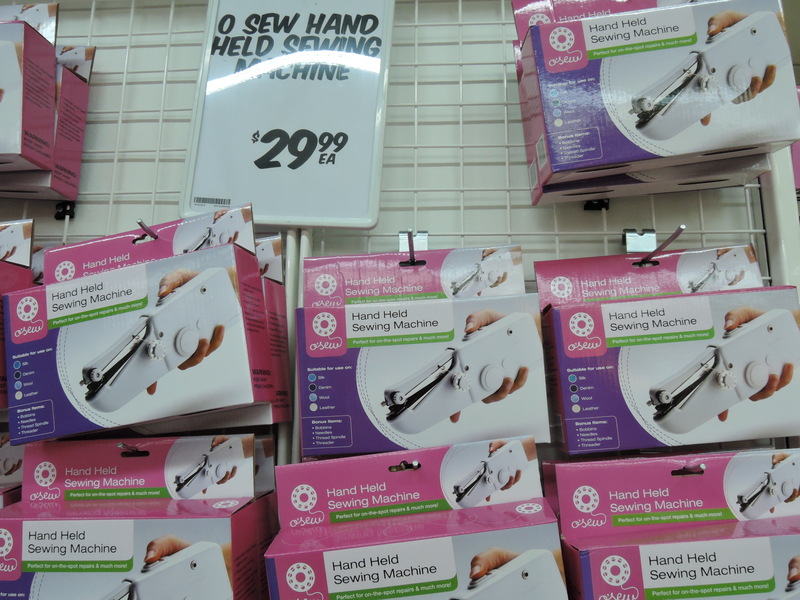 It seems that sewing is popular in Hungary as the ease of finding fabric shops reminded me of that in Portugal, where in addition to the shops that I found online, there where several that I just stumbled upon in city centers. I visited two shops in Budapest, but also found one in Keszthely, Szombathely and even in a small place like Bonyhad where we just happened to stop for a moment. 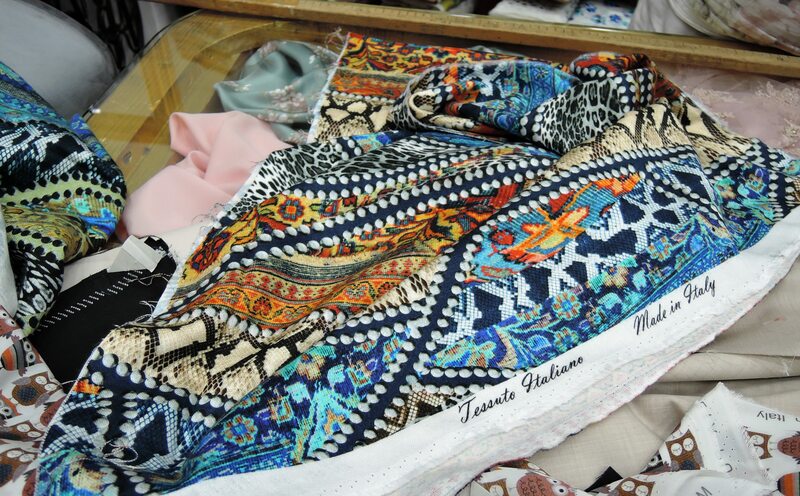 The shops in Budapest were both special – the Mathe Textil shop is probably the most beautiful I have ever visited and Kis Brammer, which was a minute to walk from our apartment, managed to seduce me into spending 60 euros for a piece of fabric that hopefully will be enough for a skirt! 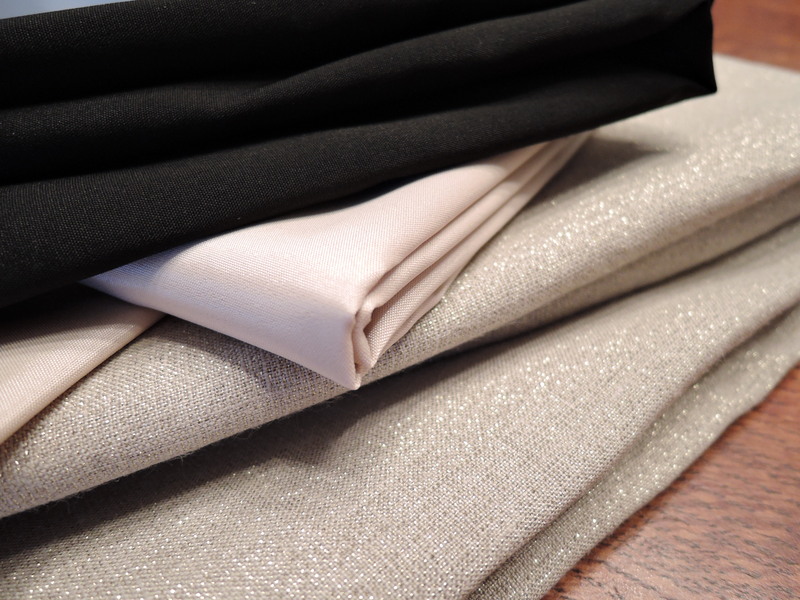 The fabric selection in Kis Brammer is very luxurious – lots of silks, wool and lace and the prices are accordingly high. 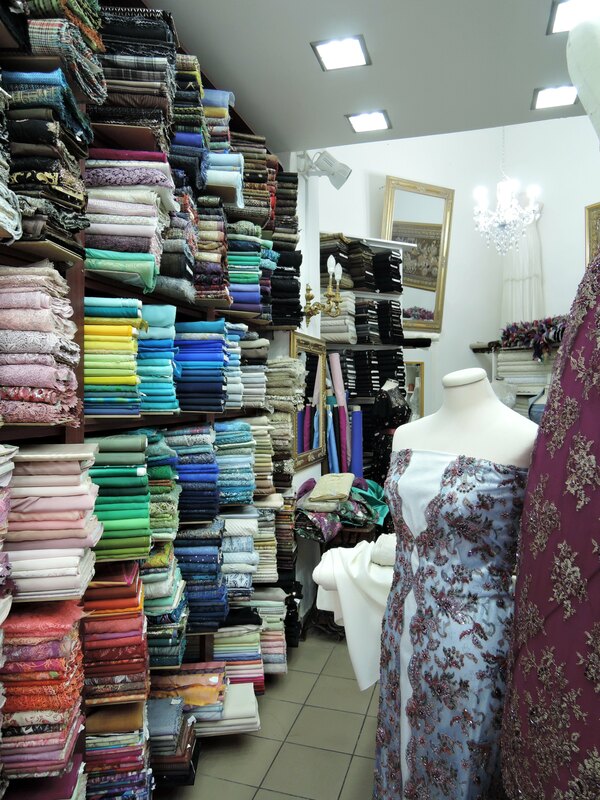 They also have a great choice of wedding dress materials for brides-to-be. 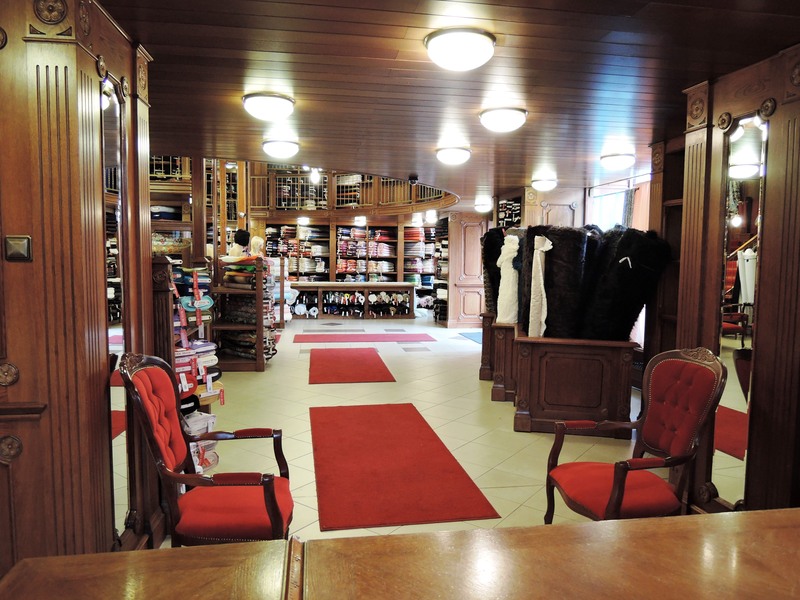 The only downside is that the shop is so tiny that it is difficult to see everything and due to the shop assistants´ poor English, it was also hard to communicate. 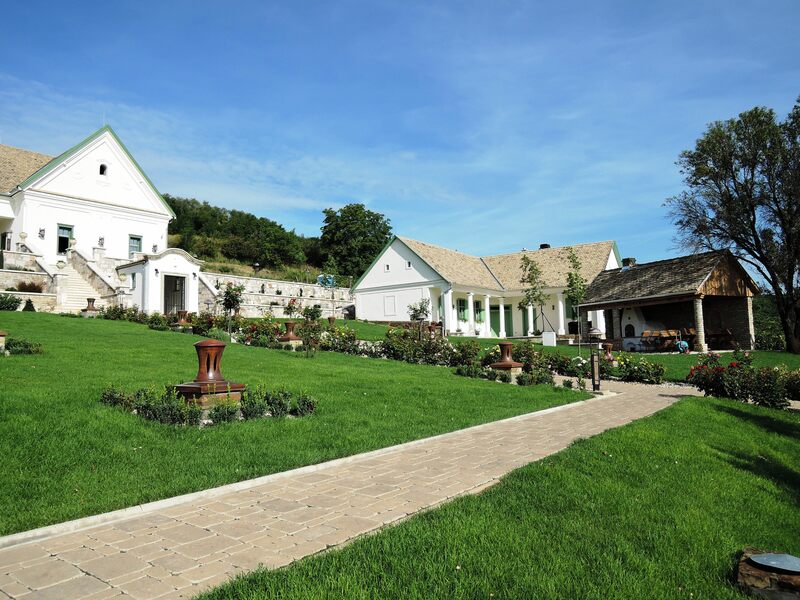 The final three days of the trip we were based by Lake Balaton, but did lots of sightseeing, both by car and cycling in the western part of Hungary, up to the lovely town Köszeg close to the Austrian border. 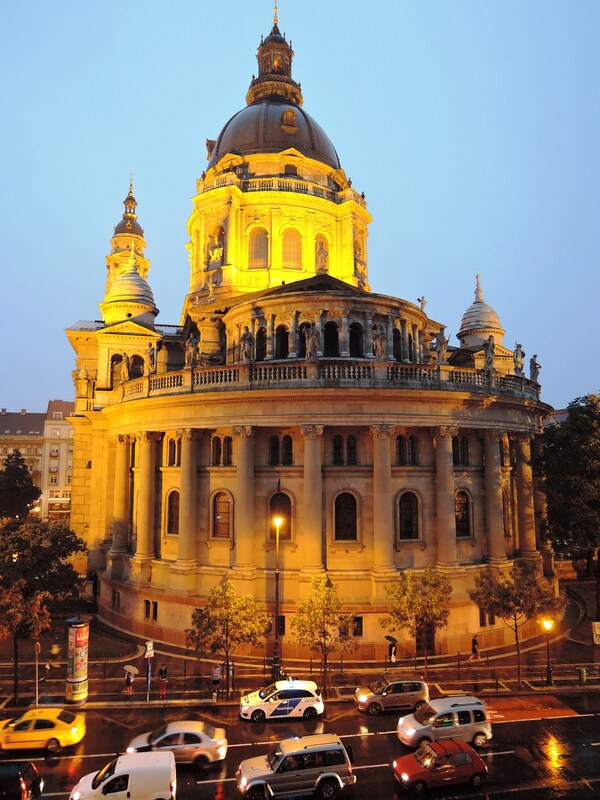 The most interesting experience was the thermal lake in Heviz, but also the thermal baths of Szechenyi in Budapest. The water in Heviz was 32*C and the warmest pool in Szechenyi is 38*C, all natural. I preferred Heviz, though, because it was less crowded during our visit (also meaning the changing rooms were nicely clean) and it felt more natural, a total relaxation. 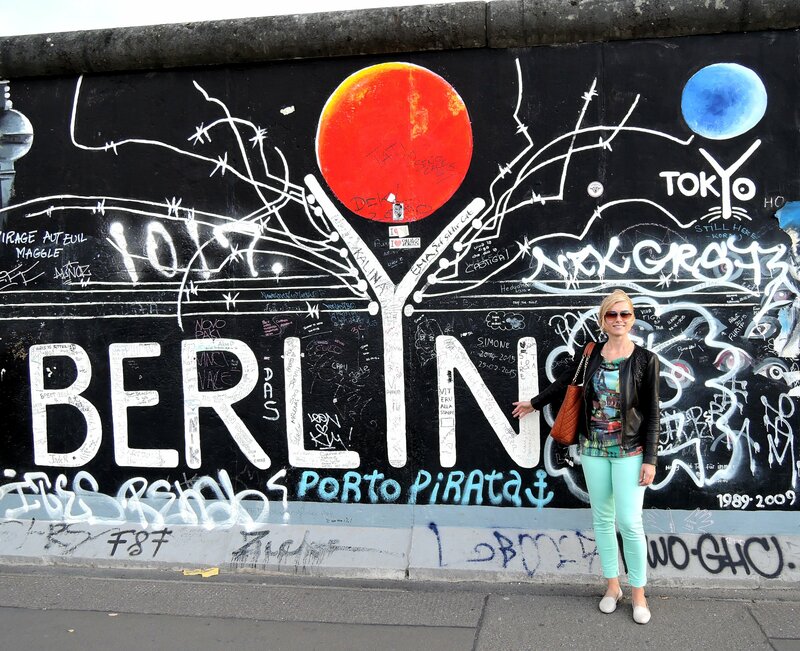 As I mentioned in my previous post, this year is rich in travels and the trip of July took me to the German capital, Berlin. I have visited Berlin twice before, the last time being 15 years ago and the first when I was only seven years old. I still remember the wall that had been pulled down two years prior, but remnants of which were visible everywhere. Today 1300 meters of it is still erect and preserved. I made quite a few changes to the original construction. 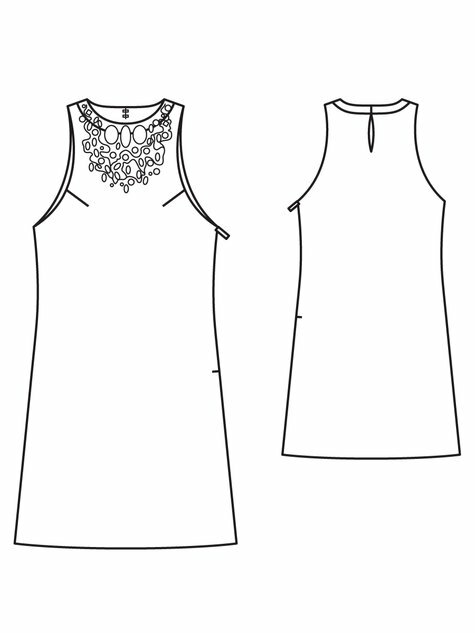 Firstly, because my main fabric is a see-through crochet lace, bought from Vienna last year, I doubled the bodice with beige stretch lining and that saved me from the facing you can see in the tech drawing. 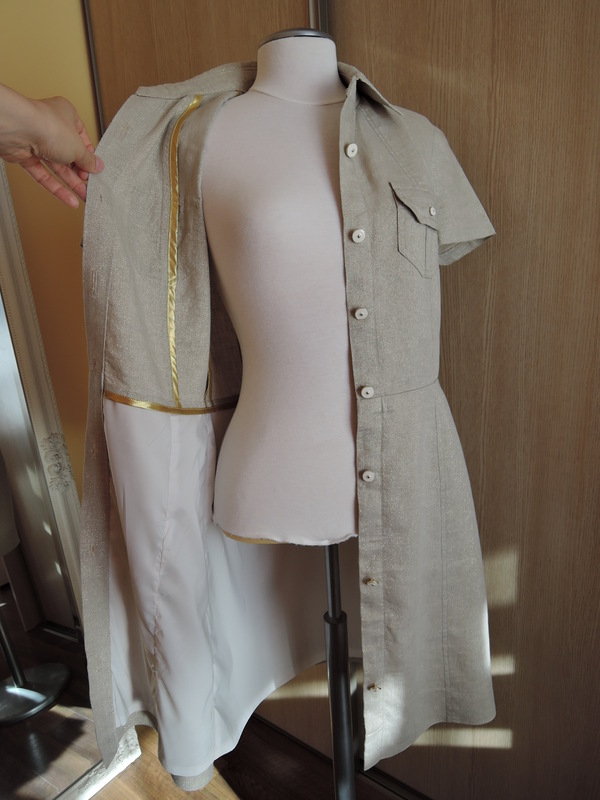 I also turned the the two pleats on the back of the bodice into darts, because otherwise the fit was too loose. Thirdly, my version is about 15 cm shorter than the original pattern. I just felt that the gathered skirt looked so much better shorter. Longer, below the knee length looks best when the skirt is more fitted, in my opinion. As you may have noticed, there is a back center seam on my version. This is due to the limited amount of fabric I had. I guess I could have managed to squeeze even the sleeves out, but I deliberately used a different fabric there. The dress is very airy and nice to wear in summer, I also haven´t experienced any excessive gaping of the front wrap detail, which I thought might be a problem. Berlin surprised me with two things: firstly, the weather was so moody, it could turn from perfect sunshine to heavy rain within just a few minutes and then back again. Secondly, although Germans are known for their punctuality and precision, trusting the direction signs in order to find the Kulturforum complex, took us to a detour of a good 45 minutes, while the thing itself was a ten minute walk from the metro station we started at. We visited the fabulous Mario Testino In Your Face photo exhibition and also a great exhibition about impressionist and expressionist painting, Im Ex. Of course we didn´t miss the famous Pergamon Museum, although unfortunately the biggest exhibit, the Pergamon Altar, was sealed for repair and maintenance works. When visiting a place, I always try to imagine living there and the feeling I get when I imagine myself being a local, pretty much defines whether I like the place or not. I liked Berlin. We happened to stay in an area loaded with small shops and cosy eateries, packed with locals and took long late-night walks accompanied by the best ice-cream I have had in a while, so it was easy to like this city! 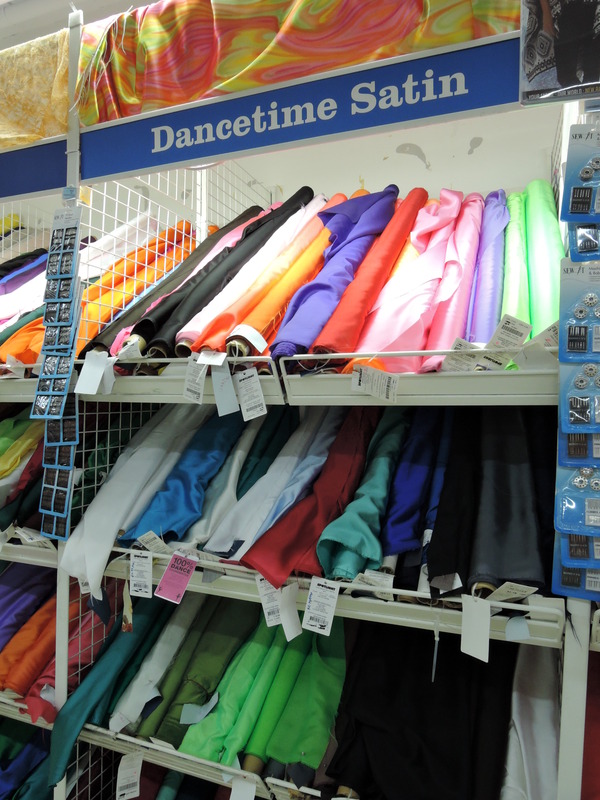 Of course, I always look up some fabric shops. 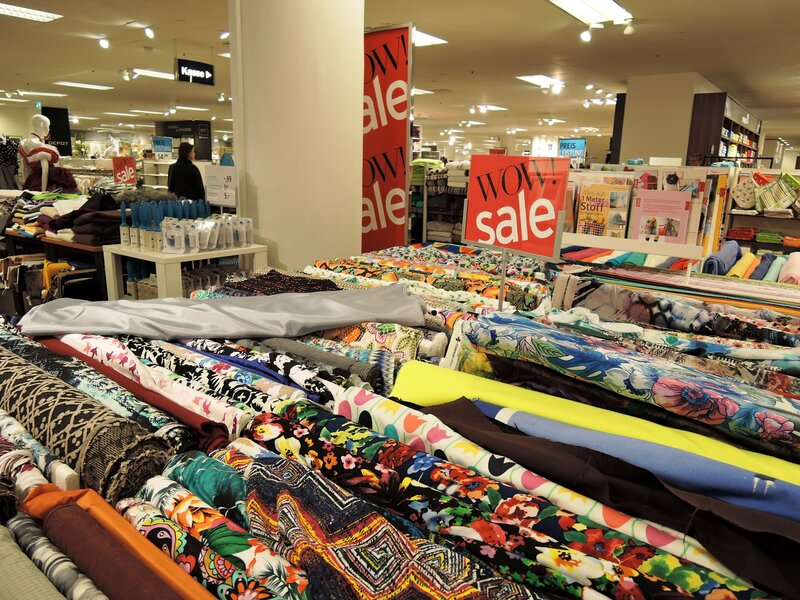 Remembering the trip to Düsseldorf in autumn, when I saw the Karstad shopping mall, I knew that the 4th or 5th floor would also have a selection of fashion fabrics and I was correct. I was lucky, because they had sales going on and I got two fabrics I have been thinking to buy from Estonia, at less than half the price! 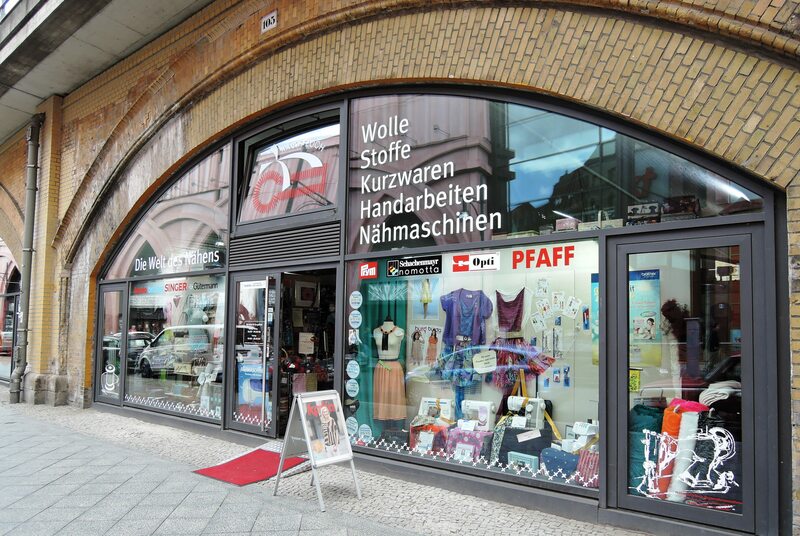 The other shop I visited was a rather small one named Knopfloch in the vicinity of Alexanderplatz, where I got some sewing machine needles. They mainly had jersey and various cotton print fabrics, but nothing that I could no resist. 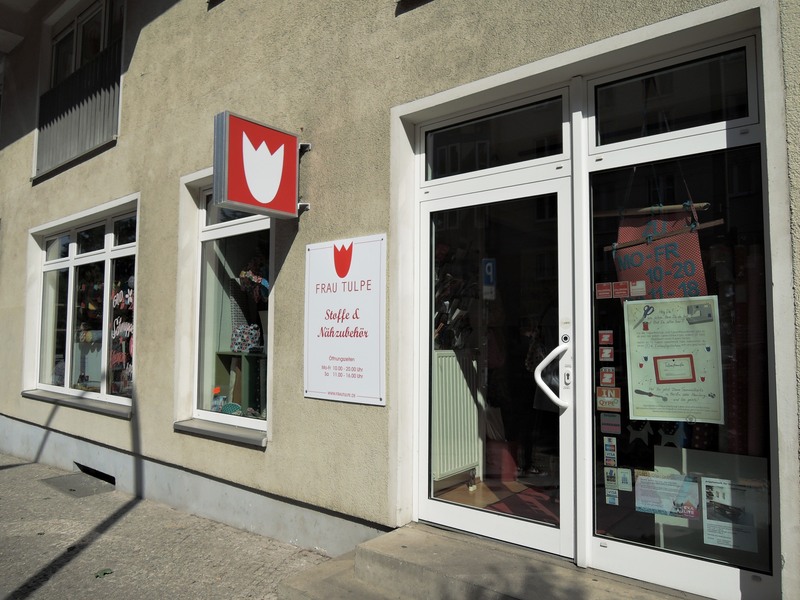 A short distance from our hotel, there was also a tiny shop named Frau Tulpe, which opens at 11 on Saturdays so I got there too early and didn´t return later due to lack of time and the fact that it looked more like a craft shop, offering mostly colourful cottons. 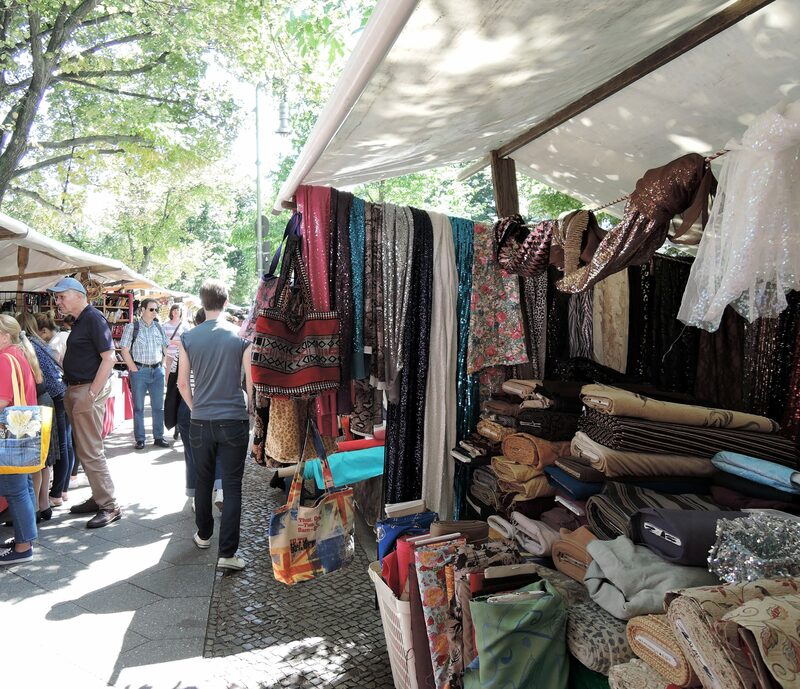 And finally, there is the Turkish market at Maybachufer, which among other goods offers fabrics and trims and notions and as I heard from one local, has the best selection of that on Saturdays. 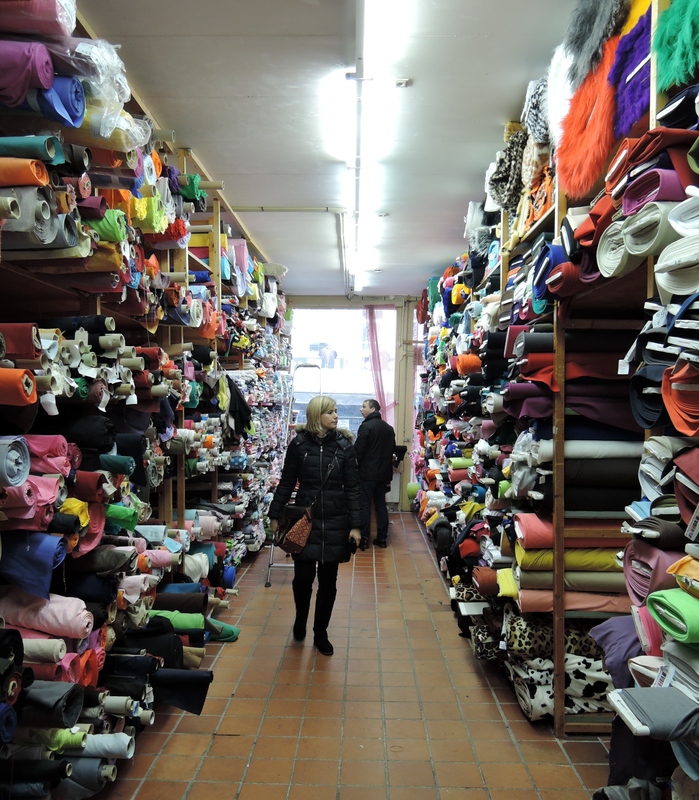 The prices are really cheap, most of the fabrics I saw were sold at 3 euros per meter, but the selection mostly consisted of cottons, cheap jerseys and some novelty fabrics. I got a nice cotton fabric that looks almost like lightweight denim or linen and some cotton bias tape that sold at 50 cents/m for plain colours and 1 euro/meter for patterned ones. As an experience, the Turkish market is really nice, you can also try various foods and I am sure everyone will find something to buy as well. 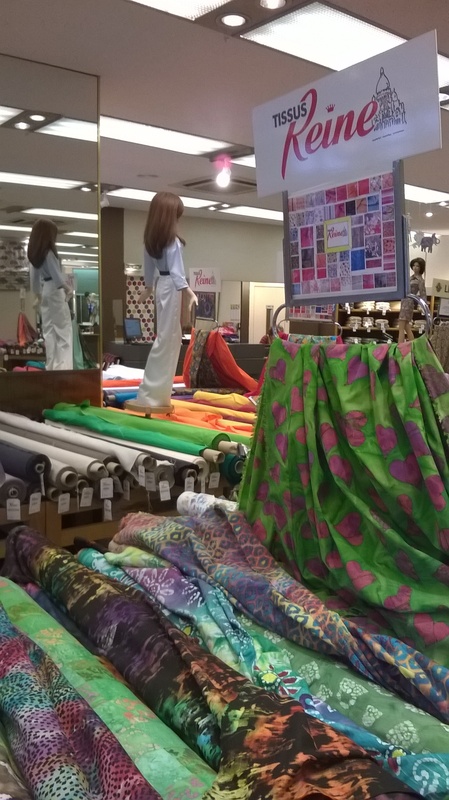 This year as it happens, I am travelling abroad every month from March to August, sometimes for work and sometimes for holidays, meaning interesting fabric shopping opportunities but less time for the actual sewing! I spent a few days in Valencia, Spain last week for another conference and as a lucky coincidence, one of my best friends also currently lives there so I got to see her and her sweet family as well! The only downside was that between the busy conference days and social meetings, I basically did not have time to see the city itself. However, I managed to squeeze in a super fast photo shoot on one of the days just before the first conference session of the day and one fabric shop in the last afternoon. 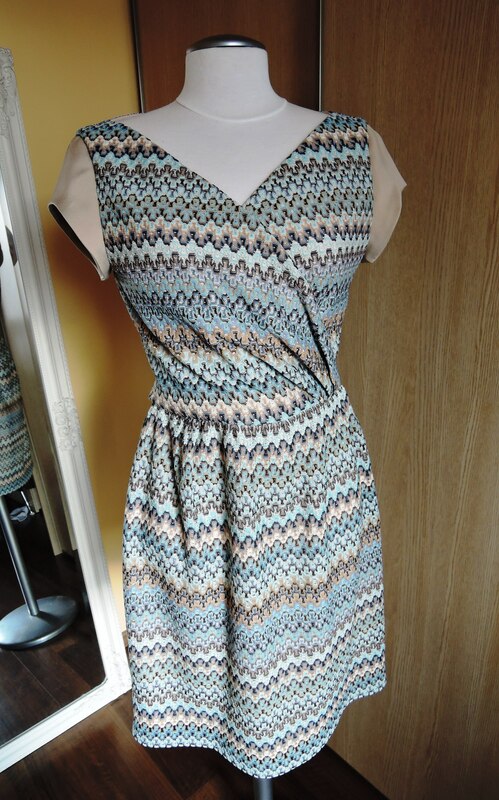 The dress is a mix of two patterns, Burda 2/2009 models 105 and 106. I made the dress based mostly on model 105 (below left), but used the chest pockets from model 106 (below right), as they seemed more fun. 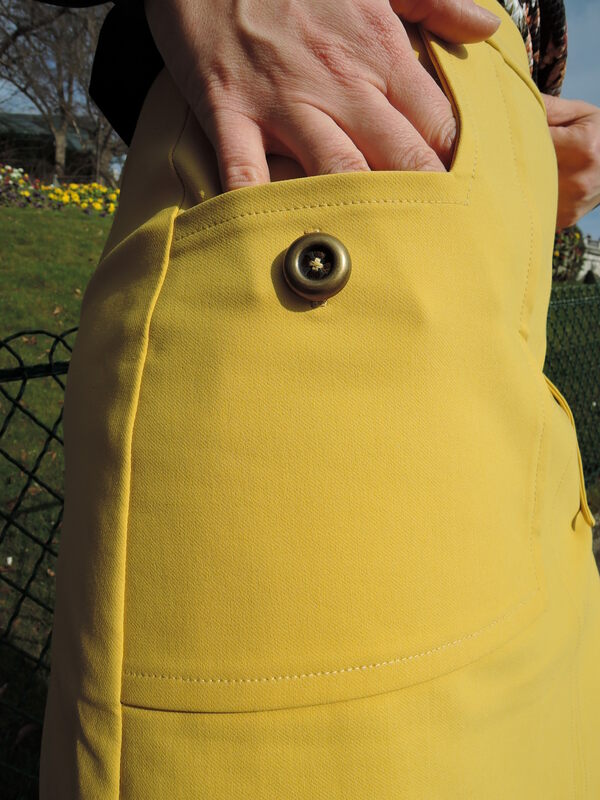 I omitted the front skirt pockets, as the were drafted into the front panel seams, a rather uncomfortable spot for actually making use of the pockets. I also skipped the tabs for the belt, since I prefer to wear the dress without one. I cut size 38 for the bodice and 40-something for the hips. As it happened, I totally forgot to do it the first time around and the skirt turned out to be too tight, so I was really lucky to have some extra fabric for new pieces. Otherwise the dress went well together, especially the sleeves, I got them at the first attempt! However, now looking at the photos, I am not entirely happy with the fit. I would say the bodice could be slightly narrower at the back, but somehow I notice these errors only after completely finishing the garment. 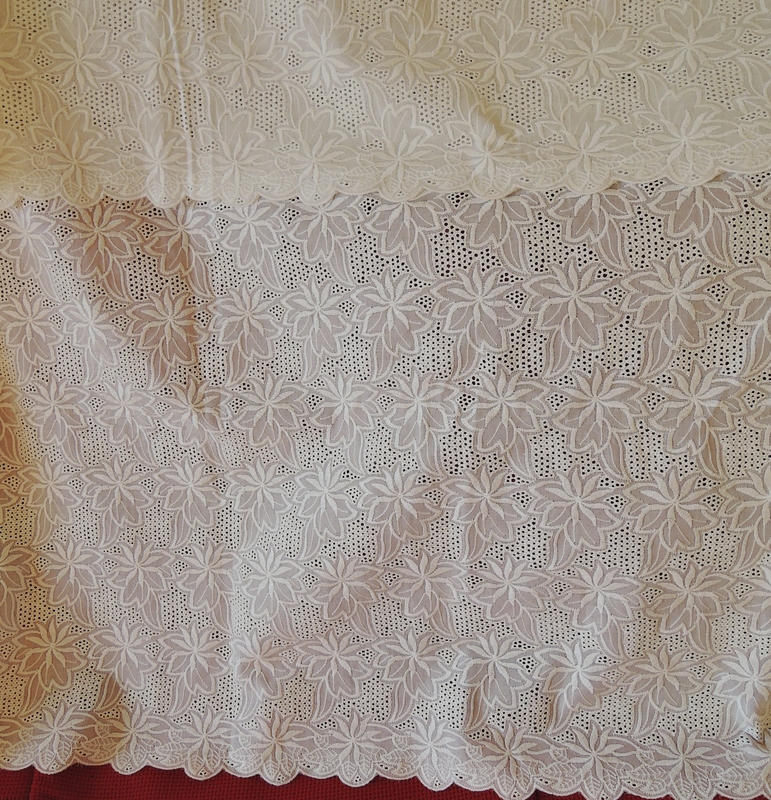 The material is linen mixed with golden metallic thread, bought from Amsterdam, however due to the lighting conditions, it is not so obvious in the photos and the fabric looks a bit dull. The dress is very comfy, though, and I actually made it having the two conferences in hot climate (Singapore and Valencia) in mind, so that I would have something conference-appropriate, but breathable to wear. So far the dress has been perfect in that matter, although it wrinkles horribly as linen fabric usually does – the photos above were taken before the first session of the day and I think I only sat down for putting on my shoes! 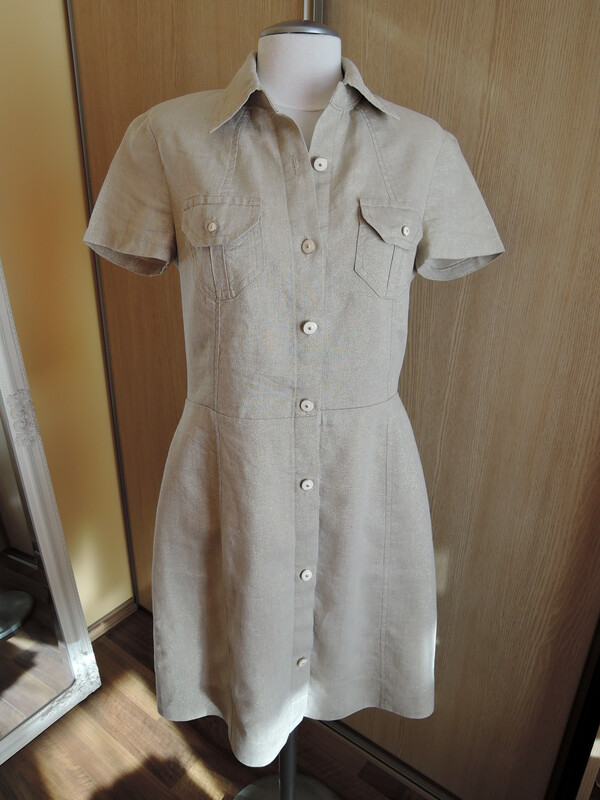 As you can see, I lined the skirt part of the dress for higher wearing comfort and also because it seemed that the linen might be too see-through against light. I did not want to line the whole thing because the lining is synthetic and I was afraid adding a lining might reduce the breathability of the main fabric. 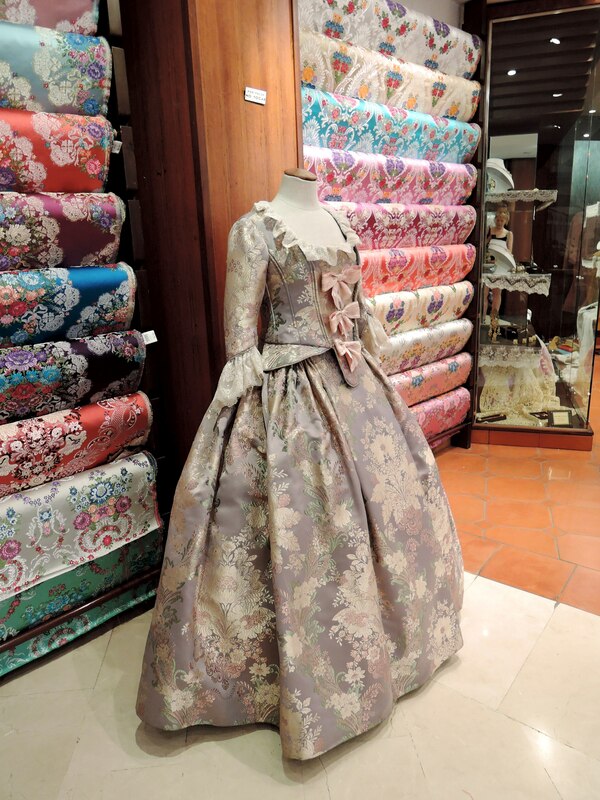 I did my homework on fabric shops in Valencia prior to the trip and managed to visit one that turned out to be a great experience. 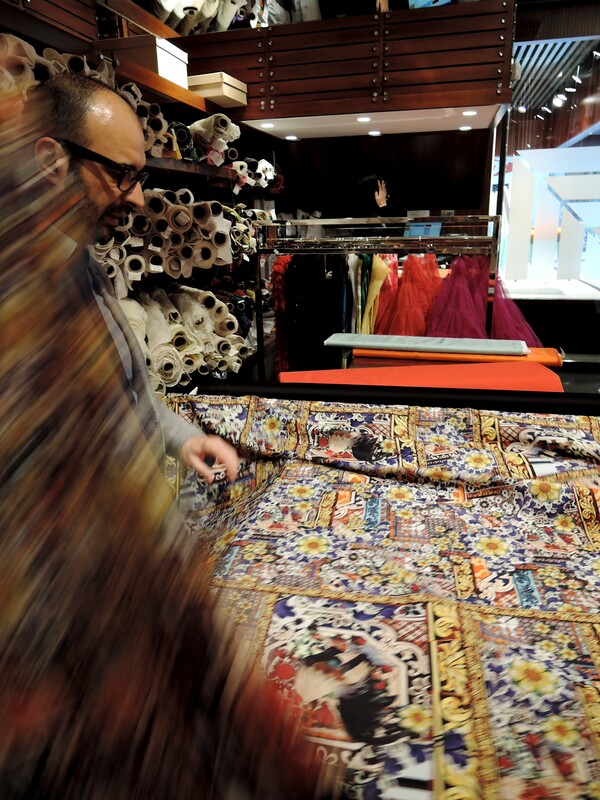 The shop is called Julian Lopez and it is three floors full of beautiful fabrics, cut and sold by gentlemen in sharp suits. 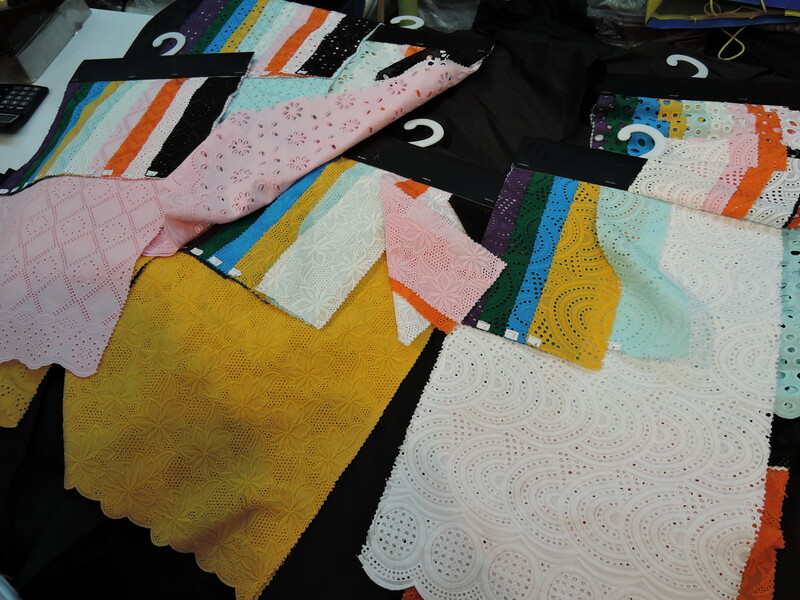 However, the last floor is dedicated to fabrics used for local traditional clothes and the second floor to decoration fabrics and quilting cottons, so only the ground floor remains for fashion fabrics, but the selection is good and I think there is something beautiful for any budget. 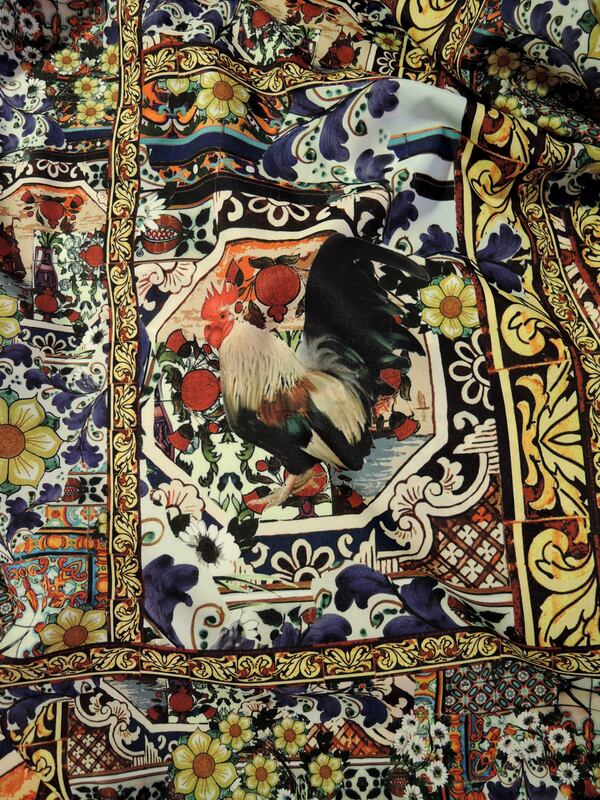 I bought a polyester crepe in a rather crazy and humorous print – the fabric is very busy, but once you look closer, there is a rooster right in the middle! 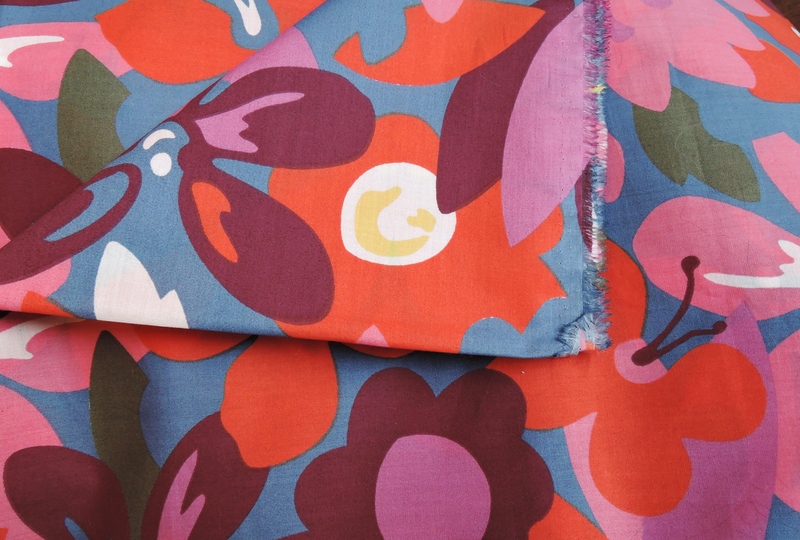 I like this funny detail and my current plan is to make an extravagant jumpsuit out of this. My current job occasionally gives me fantastic opportunities to travel, too. 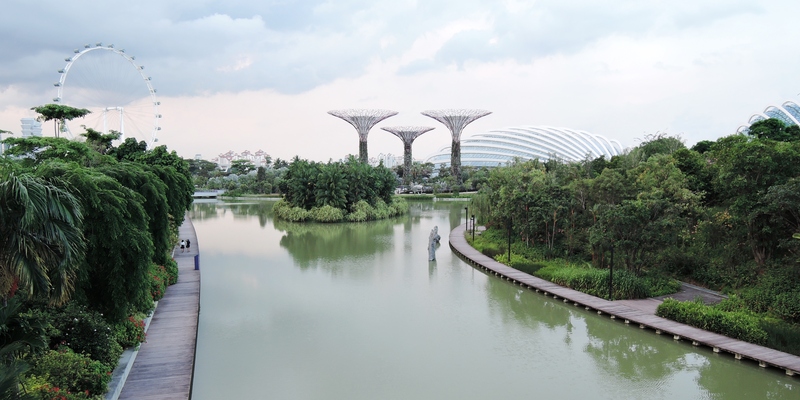 As you might remember, I have had a chance to visit Zurich and Istanbul before, but this time the destination was Singapore! Although I travel quite often and have been to a few places, this is the farthest I have ever been until now. I try to take the most of my trips and this time was no different. I used the time free from the conference I was attending, for some sight-seeing with my colleagues and fabric shopping. 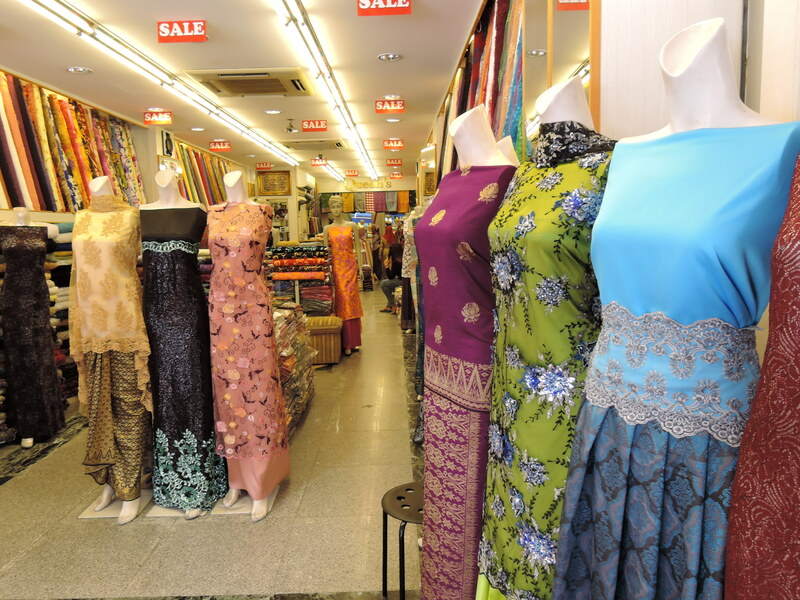 According to my web-research prior to the trip, there are basically 3 main spots for fabrics in Singapore – the Arab Street, Spotlight store at Plaza Singapura and fabric market in Chinatown. I checked out the first two. 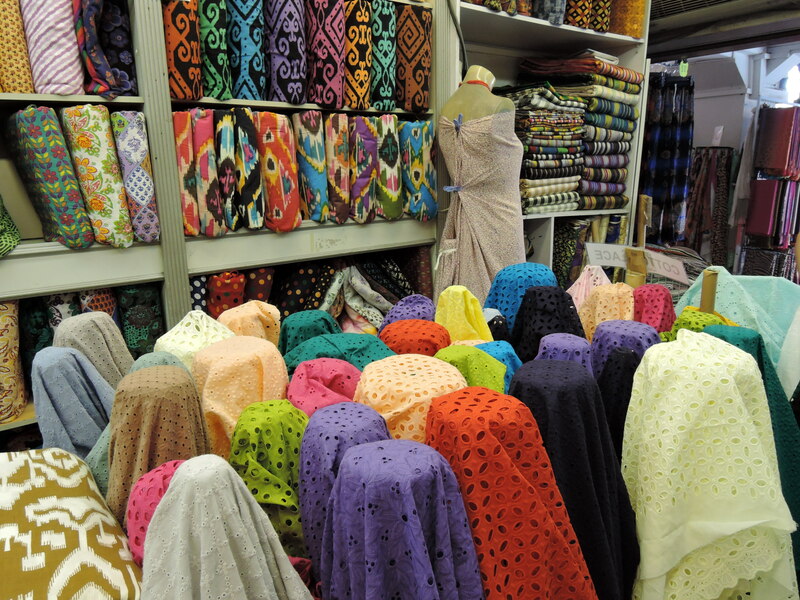 The Arab Street was actually a ten minute walk from our hotel, a street lined with nothing but fabric shops. 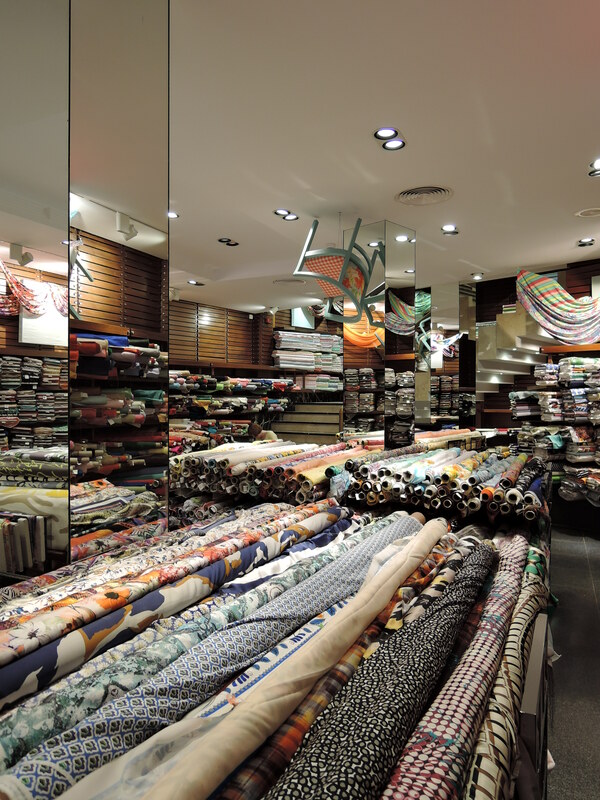 The selection ranges from exotic cottons to cheap polyester prints to fine silk and beaded lace. Of course I felt pressured by the desire to buy some fancy silk, but eventually I decided that I had enough party dresses already and I´d rather get something more casual to be able to get more wear of it. The embroidered cottons are similar, yet very different in my opinion. I imagine the first one as a pure white, crisp summer dress, probably fitted; the second one is off-white and more girly, with a fluffier skirt. 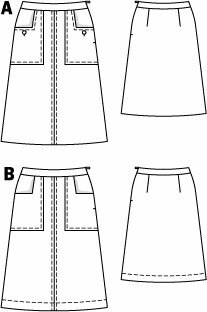 The silky dress fabric has border print on both sides, my first idea is to use the central monochrome piece for the bodice and the border print for the skirt piece of a dress. 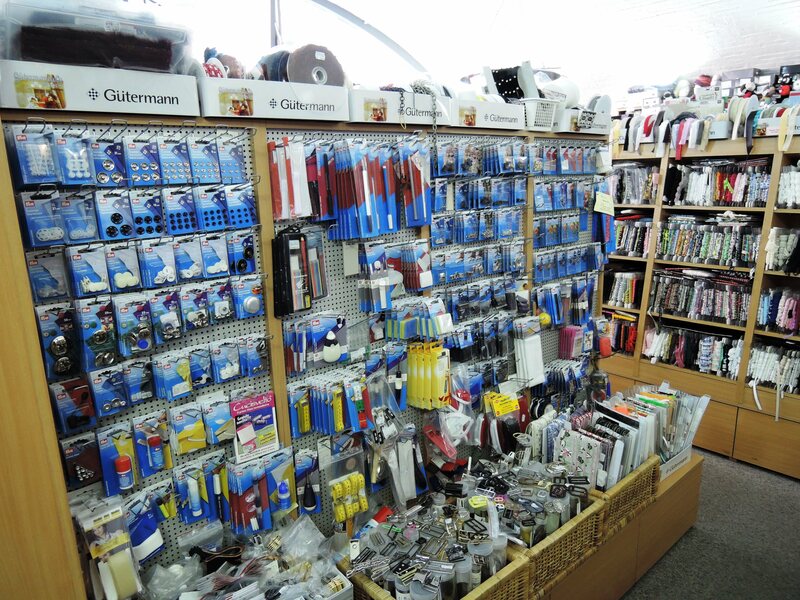 The Spotlight store is a huge shop full of anything you might need for party decorations, but also stuff like bedsheets and home decor products. 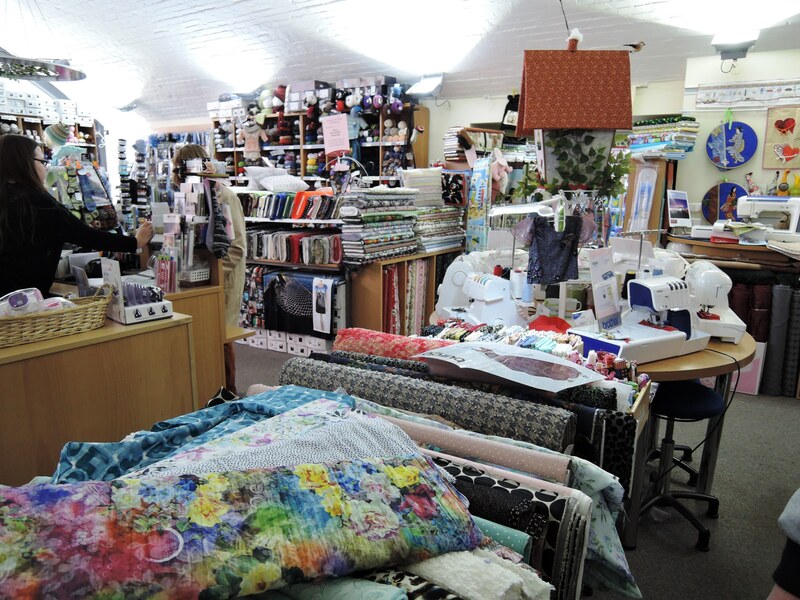 There is a big selection of notions and fabrics, which seemed to be of the cheaper end in the majority. I didn´t buy anything! 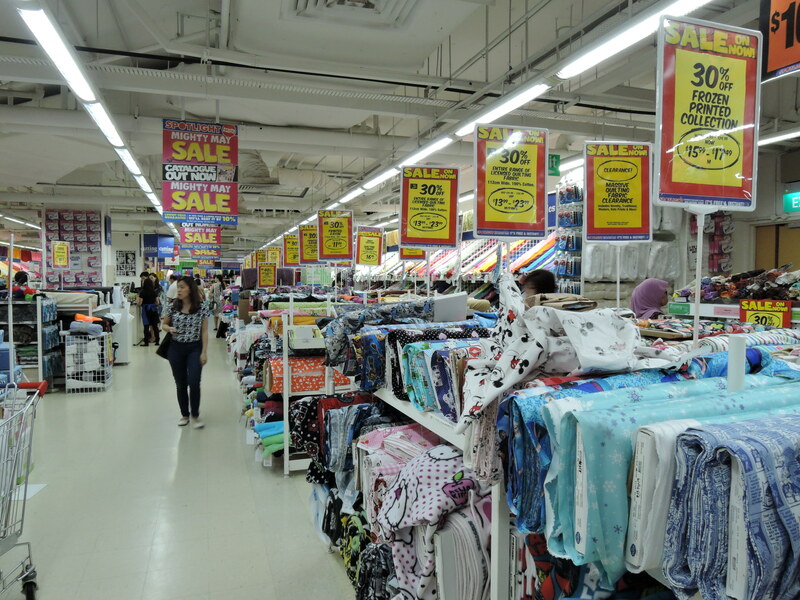 There was also one strange store named Daiso, where nearly everything comes from Japan and costs 2 Singapore dollars.You can find stuff from tools to dishes and cosmetics there. 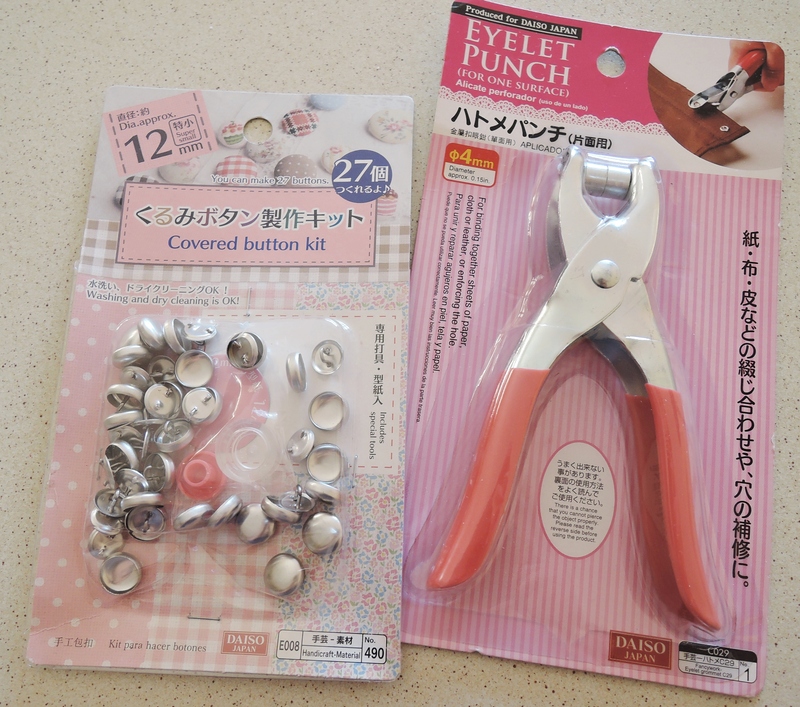 They also have some sewing related things, so I got a set of cover buttons and eyelet punch tool for 4 dollars! I was very eager to start working on the dress right after I had bought the fabric and used a simple pattern from Patrones, trying to create a copy of the original. 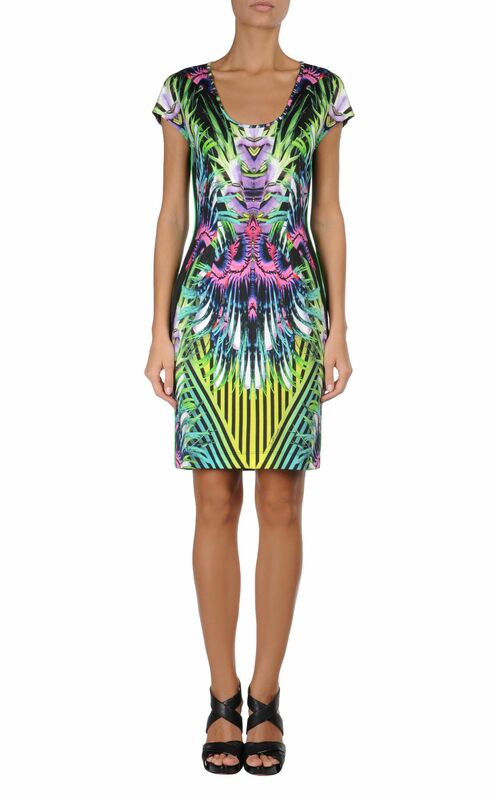 But there is something really peculiar about the fabric and how it appears in the photo above – it looks like the model should be no more than 1.5 m tall, because I am 1.7 and I simply cannot use the print in the exact way as shown, the dress would be embarrassingly short. Also, the pattern I had chosen was like a loose rag on me. After facing these issues, I dumped the dress into the bottom of a drawer and was hurt every time I was looking for something else in there and the dress reminded me of my failure. 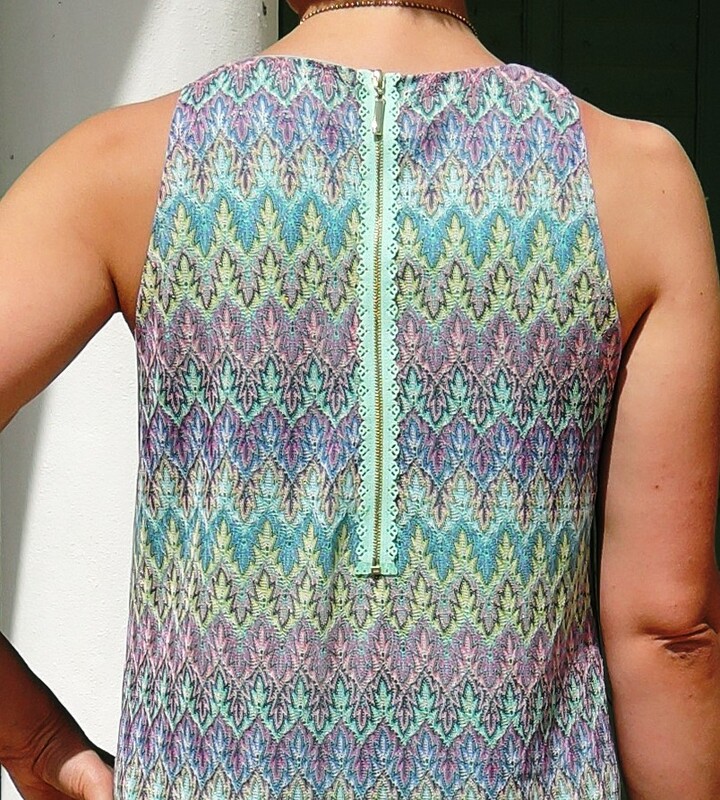 I really liked the bright green piping of the side seams on the original dress, but after adding this detail to my version, I couldn´t resist pushing it a bit by adding the same piping to neck and armholes as well. I did something rather unorthodox in order to achieve a nice fit – knowing that McCall´s 6243 really fits me well (tested two times already, look here and here), but not wanting to disrupt the beautiful print, I just arranged the pattern onto the pieces of the totally dismantled first version of the dress front and back, creating a one-piece front with just two darts. I took into account the fact that the pattern has seam allowances already included and overlapped the front diagonal pieces by approximately 1.5 cm. It worked! As you can see, I compensated the insufficient length by adding a black ponte panel to the bottom of the dress and joining the fabrics into one by continuing the piping all the way down. I think the result is very rewarding. 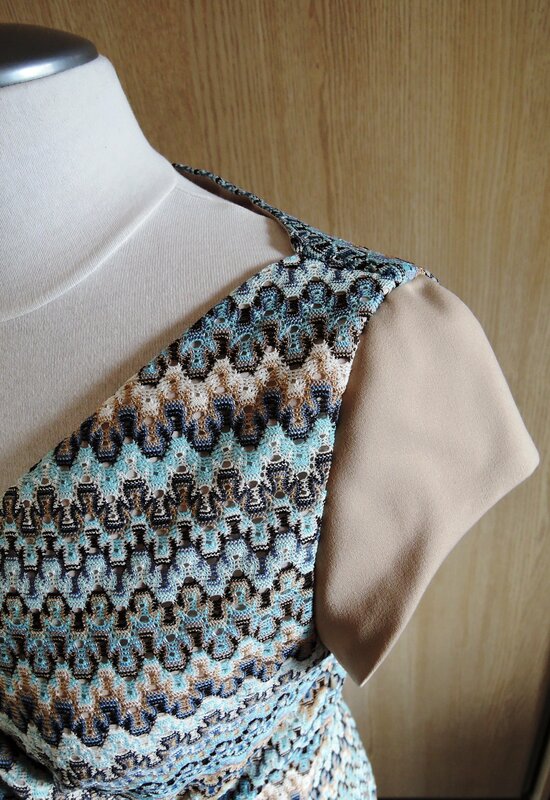 It is such a pleasure to turn a failed project into a beautiful garment that hardly goes unnoticed. I should have done it a long time ago and saved myself a lot of heartache every time I opened that drawer! 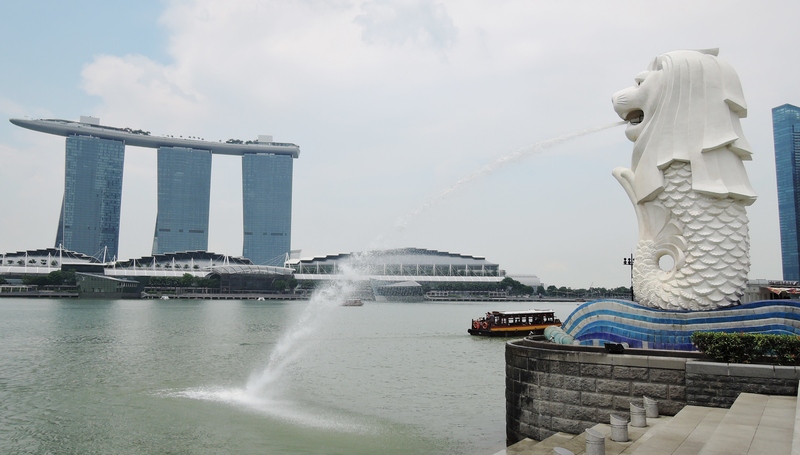 Singapore itself is a highly organized and extremely clean metropolis with extravagant architectural pearls. To my surprise, eating out was rather cheap and neither did I have to pay a fortune for the fabrics or public transport. 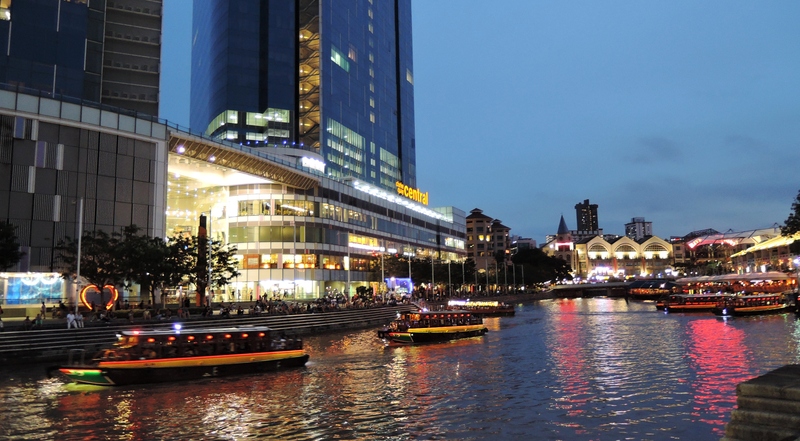 Due to the conference we spent there quite a few days, but I generally think that if the only aim is to do sightseeing, three or maximum four days would be sufficient to explore the highlights of the city. 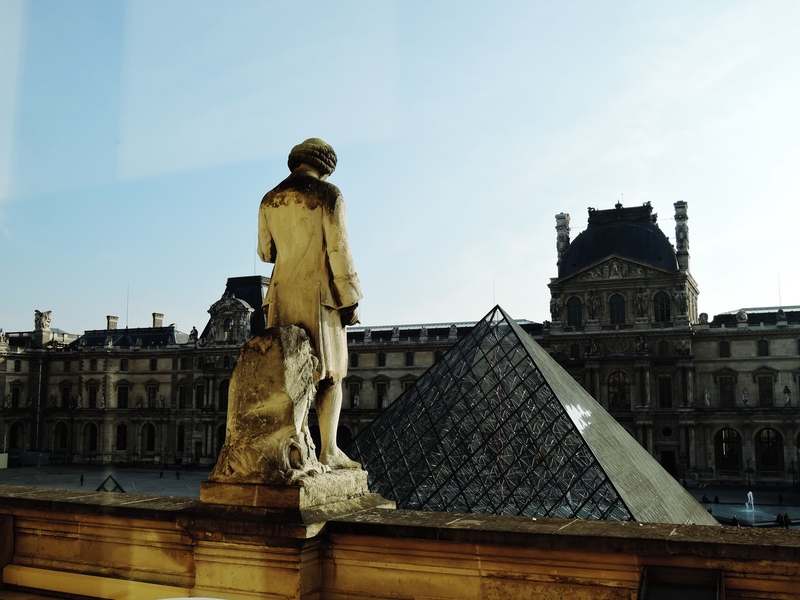 I spent the last week in Paris with my mother, a trip she had long wanted to make. As my employer decided generously to add one extra week of holidays to everyone in 2015, I thought it would be a good chance to use the extra week for the purpose of accompanying her and also discovering Paris for the first time. I must say if you ever plan to go to Paris in spring, do it in April-May. Currently it was nastily cold! 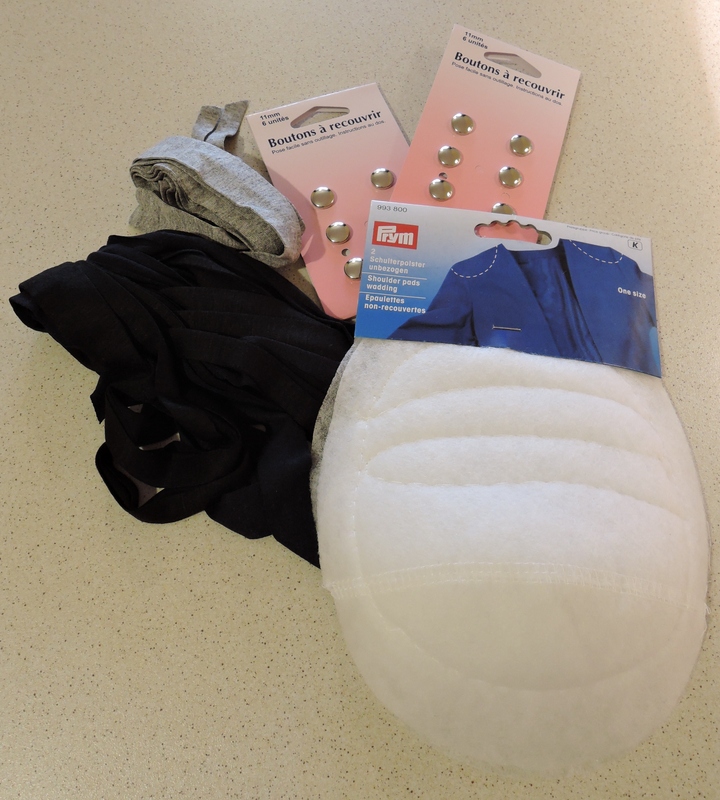 There is something about the cold in warmer climates – during the years I lived in Cyprus and Greece, I was also always cold in winter, especially indoors and fell ill once every year. This rarely happens to me here up North! 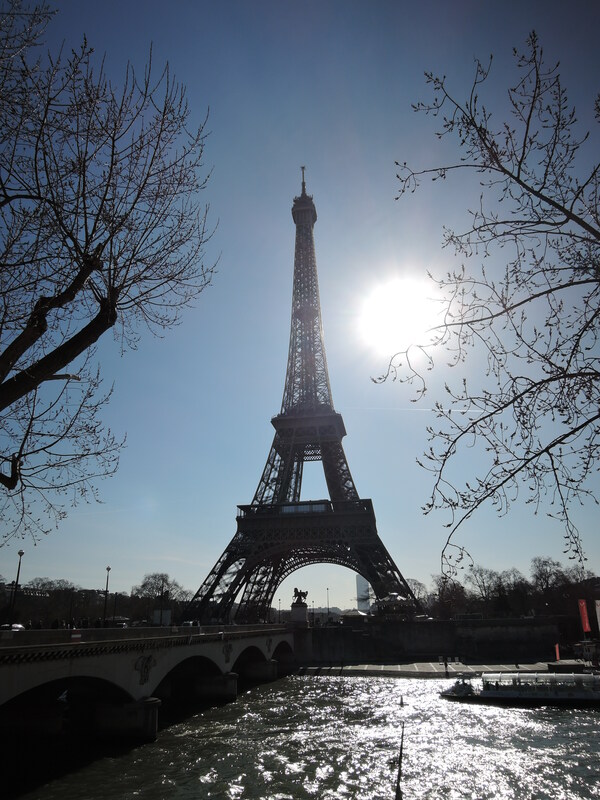 It was also slightly early because the trees were still leafless, which surely had an impact on my visual impression of Paris. It just means another trip has to be planned! 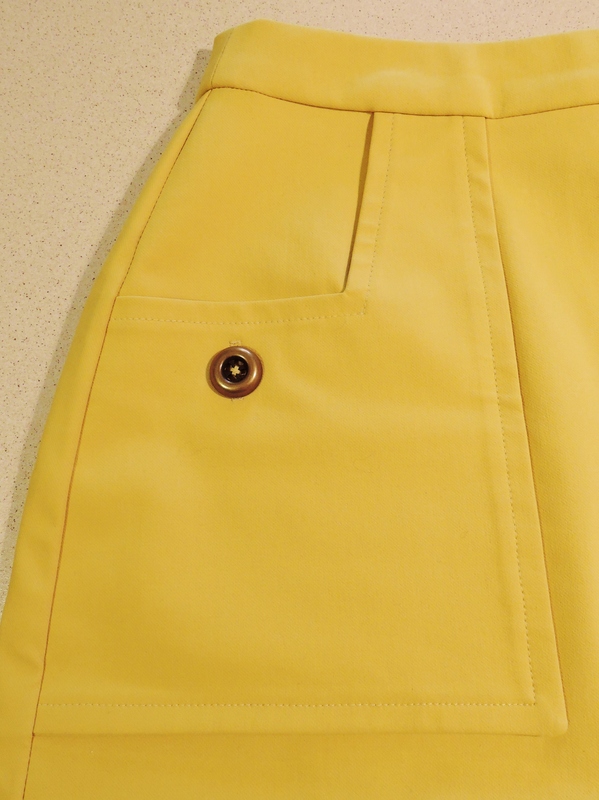 Thankfully, I had just finished a mustardy-yellow skirt to brighten things up. 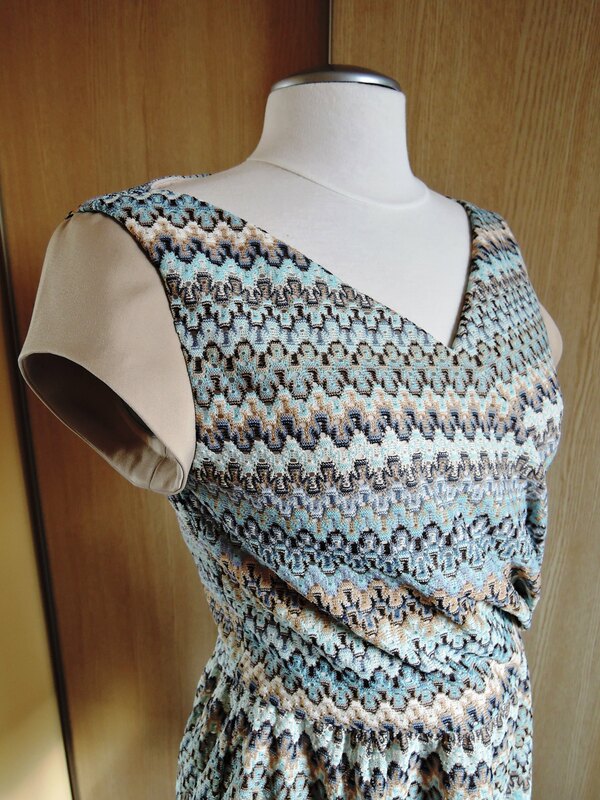 The pattern is from BurdaStyle October 2011 issue, model 119A and B mixed together. I cut size 38 at the waist and smoothed to size 40 at the hips. The fabric I used is from my trip to Portugal. 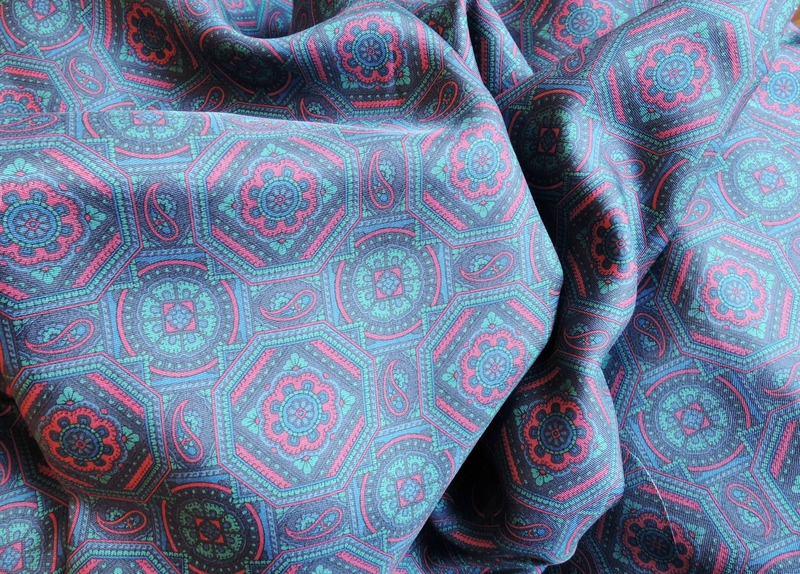 I don´t know the composition if the fabric, but it is a weird one, dense and heavy and quite elastic lengthwise. 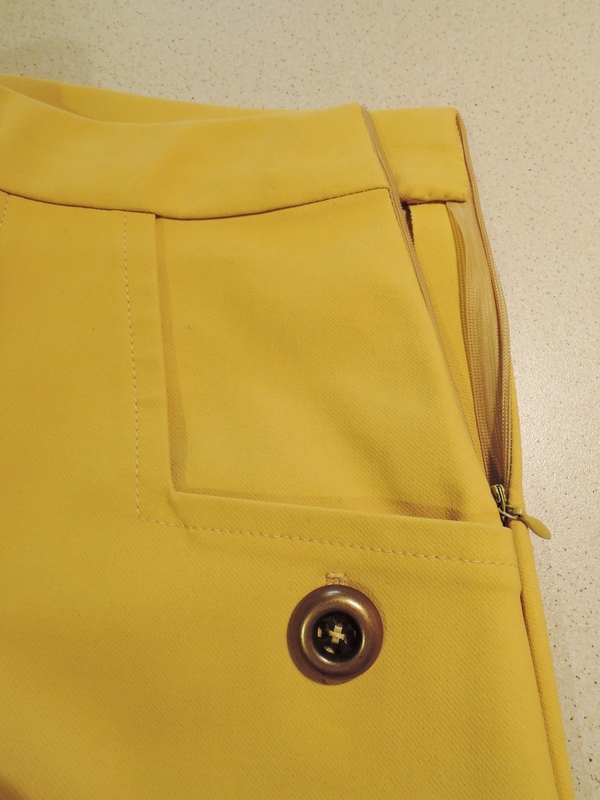 I had just enough fabric for the skirt, as the pockets are self-lined and pretty big, requiring a lot of fabric. Sewing this weird material was a pleasure, although it got tiresome at the waist, where I needed all my strength to press the basting needle through the layers. The skirt is unlined and i did not finish the seam allowances, since the fabric doesn´t fray at all and it would only have added extra bulk. 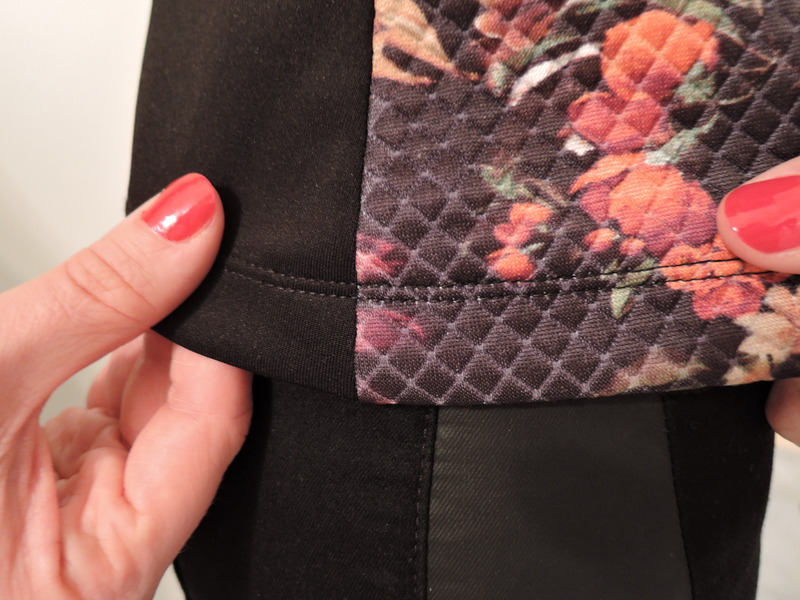 The waistband is also hand stitched from the inside. 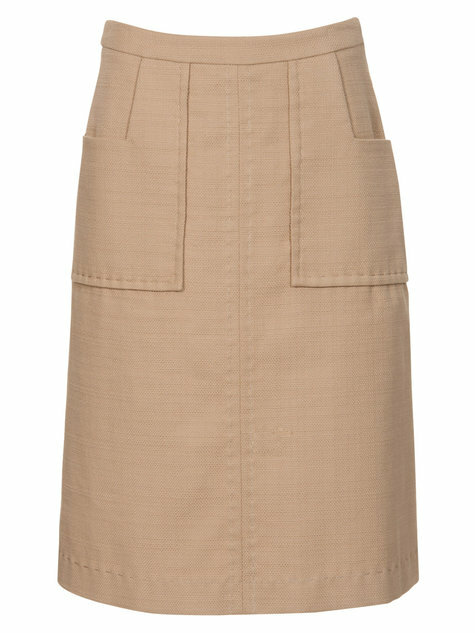 I really love the shape and extravagant size of the pockets. 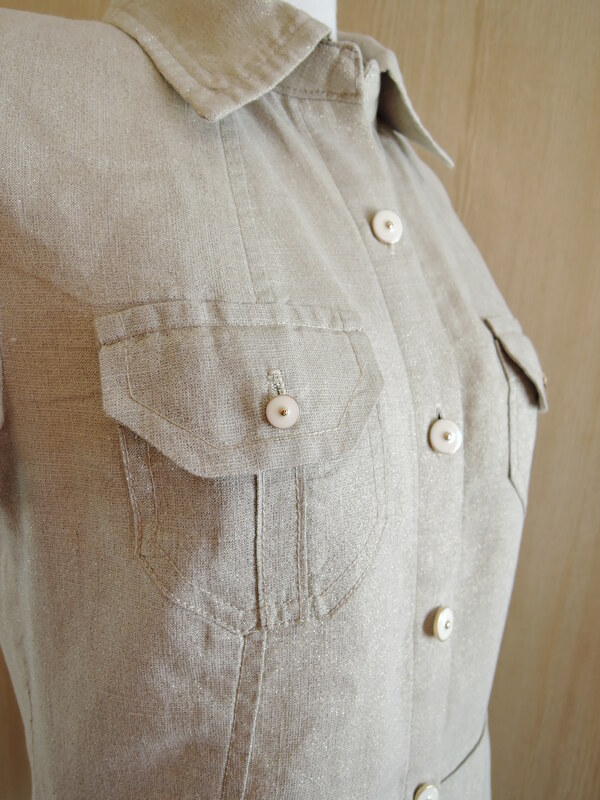 The buttonholes are only stitched, not cut through and the buttons are sewn onto those. 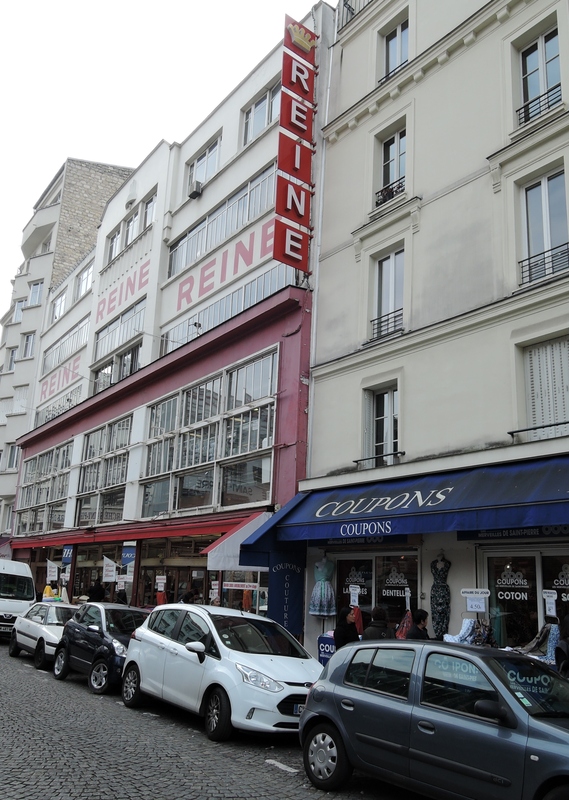 Traditionally, I had done some homework on fabric shops in Paris and luckily there is a whole district of fabric shops of all sorts right on the base of the hilltop where the spectacular Sacre Coeur church sits. Some of these shops are specialized on Halloween and other carnaval fabrics, others are selling everything in coupons of 3 meters, others have a bit of everything. I didn´t see anything too special or too expensive, the prices are rather low. 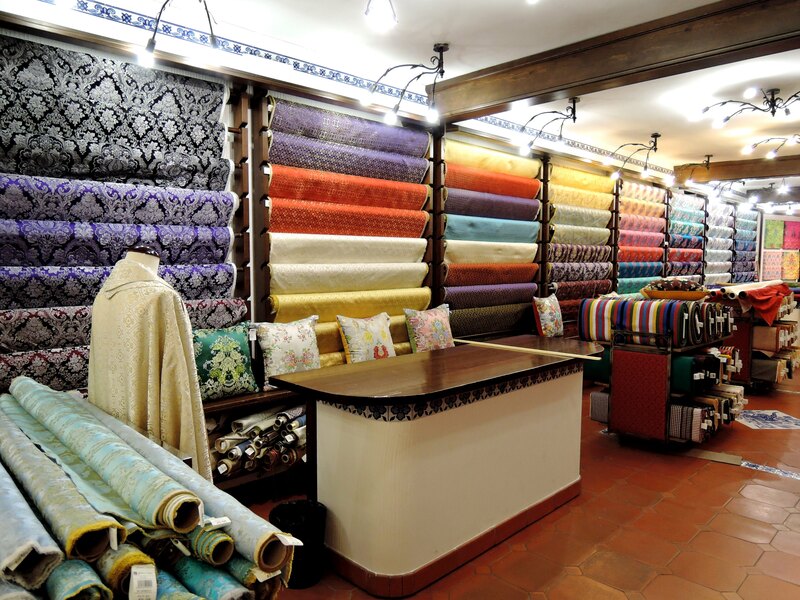 The most interesting one was perhaps Tissus Reine, a huge store with a large variety of fabrics from Liberty cottons to curtain and furniture fabrics, also a wide range of notions. 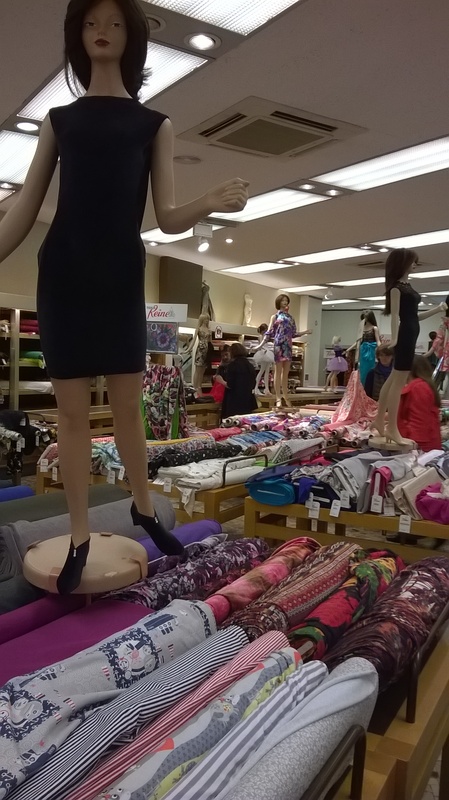 The ground floor is dedicated to dressmaking fabrics and they have used smaller than human size dummies for decoration, who are dressed up in clothes made of the fabrics that are for sale. 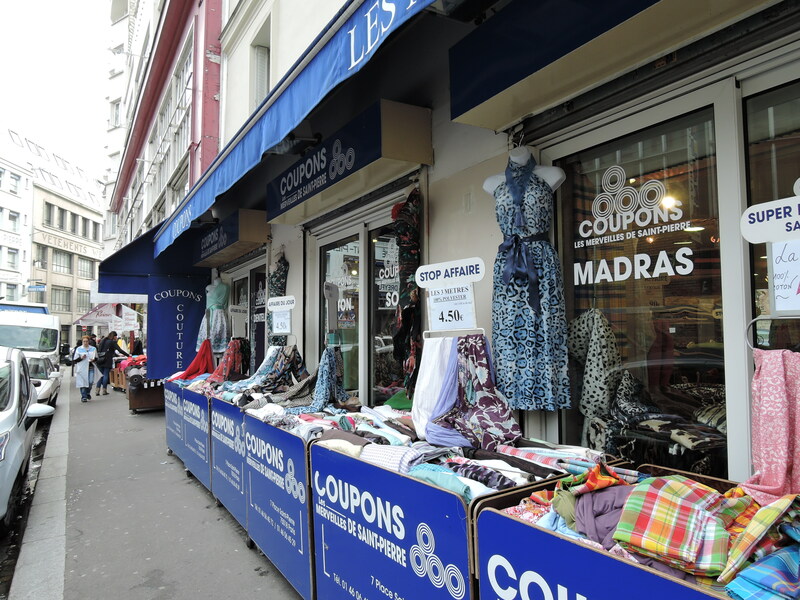 The other one, Les Coupons de Saint Pierre, is bigger online than in reality. 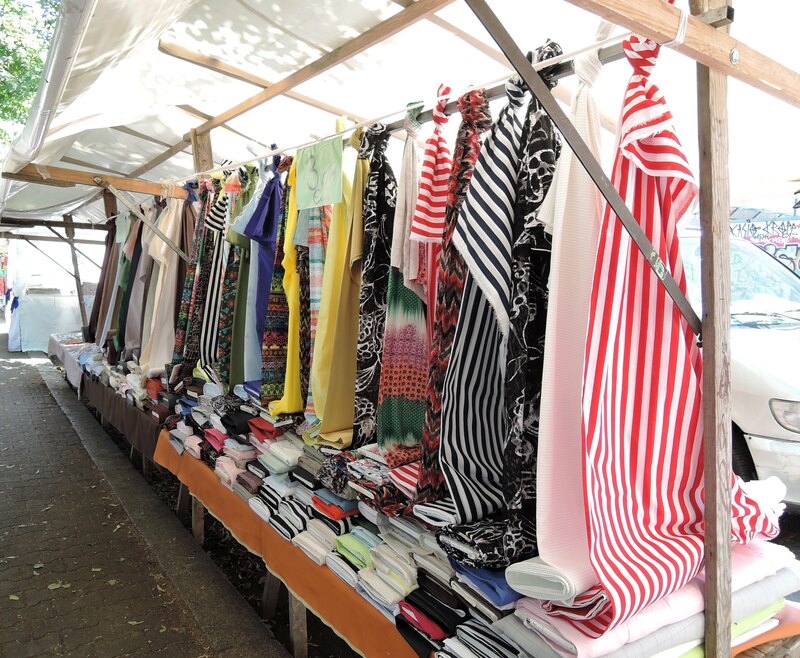 They are selling everything in coupons of 3 meters, including silks. 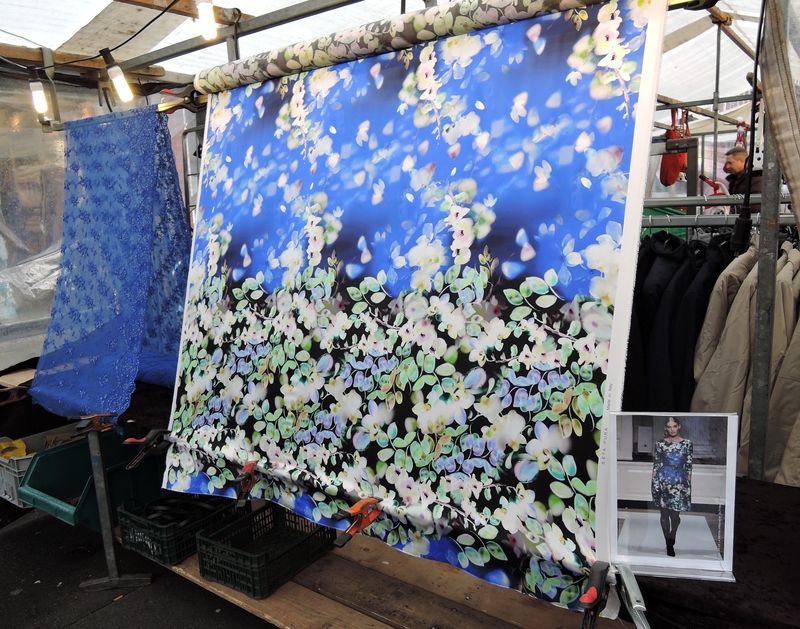 I spotted some beautiful pieces of bright yellow and green silks, but most of this was good fabric waisted for weird prints – like tiny Chinese working on ricefields or strolling with sunshades, However, I managed to find a piece of beautiful silk and paid just 20 euros for the whole 3 meters! 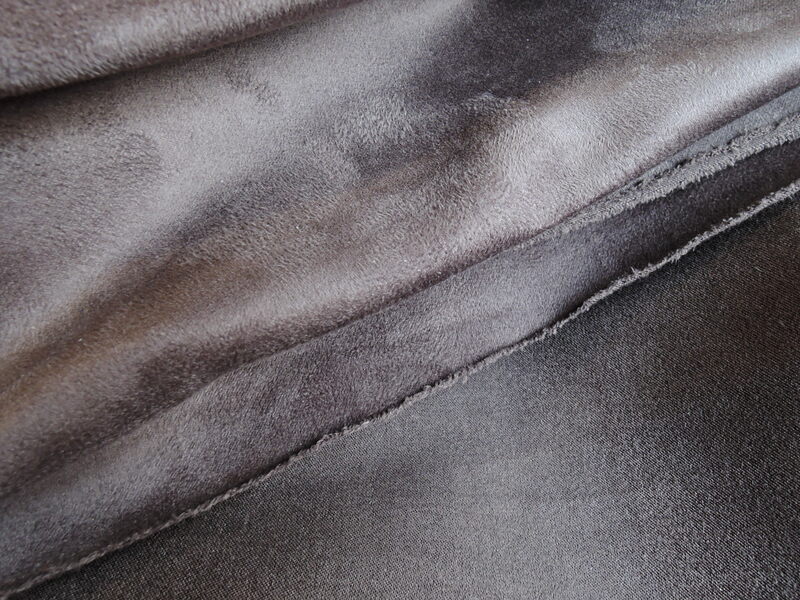 The first is a microfibre fabric that looks a bit like suede, I am not yet sure whether it will become a jacket or a minimalistic dress one day. The second one is a 3 meter coupon of cotton for a summer dress and the last is the silk fabric coupon. The notions include shoulder pads, cover buttons and 3 shades (grey, dark blue and black) of jersey bias tape, something I have not seen before. 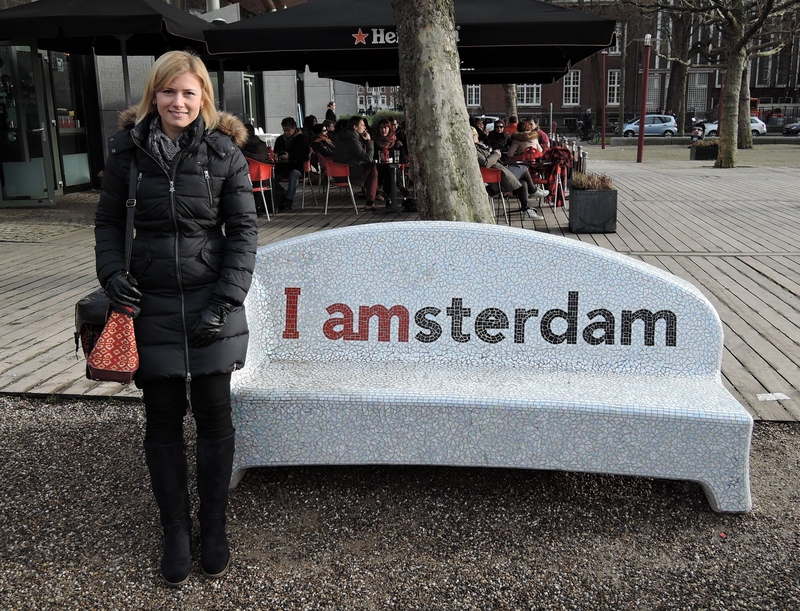 I spent the last few days of 2014 in Amsterdam, which was a totally impulsive decision but I love to take advantage of great flight deals whenever possible. This short trip was all about wandering around the canal side streets and fabric shops, admiring van Gogh and struggling through the crowds at Rijksmuseum, so all in all, pretty perfect! 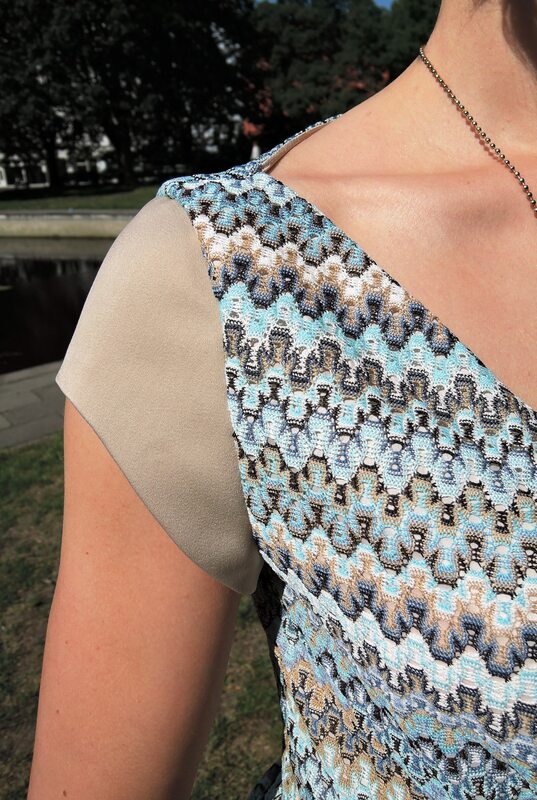 Right before leaving for Amsterdam, I had managed to finish a simple top, which is another version of the Wavy Top I made back in the beginning of 2013, using the pattern from Burda Style September 2012, model 123A. Since it is allowed to take photos in Rijksmuseum, I thought the flower pattern of the front side of the top would be cool to get photographed with a still life with flowers in the background, but probably due to the end of the year and increased number of tourists in Amsterdam, the museum was so crowded that we just saw the highlights and taking photos was out of the question. 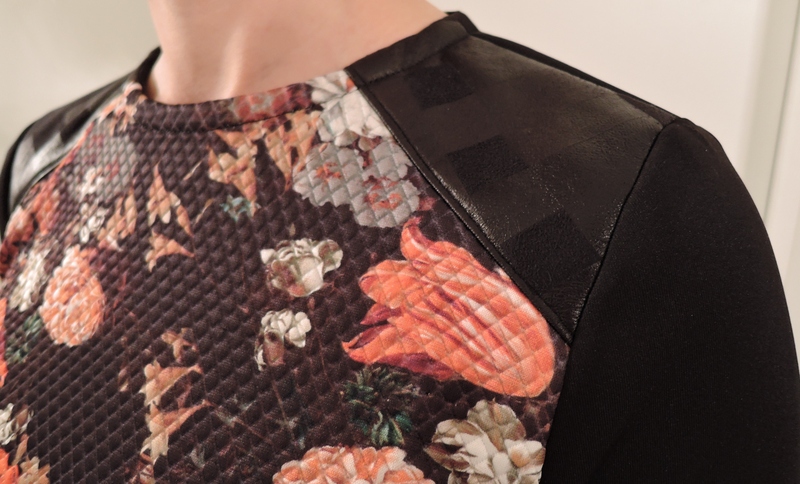 The flower fabric is from my holiday trip to Portugal in September and the faux leather pieces on the shoulders are about the last leftovers from a 2-meter piece of wonderful feel and quality faux leather I got from Athens just shortly before leaving Greece in 2012. 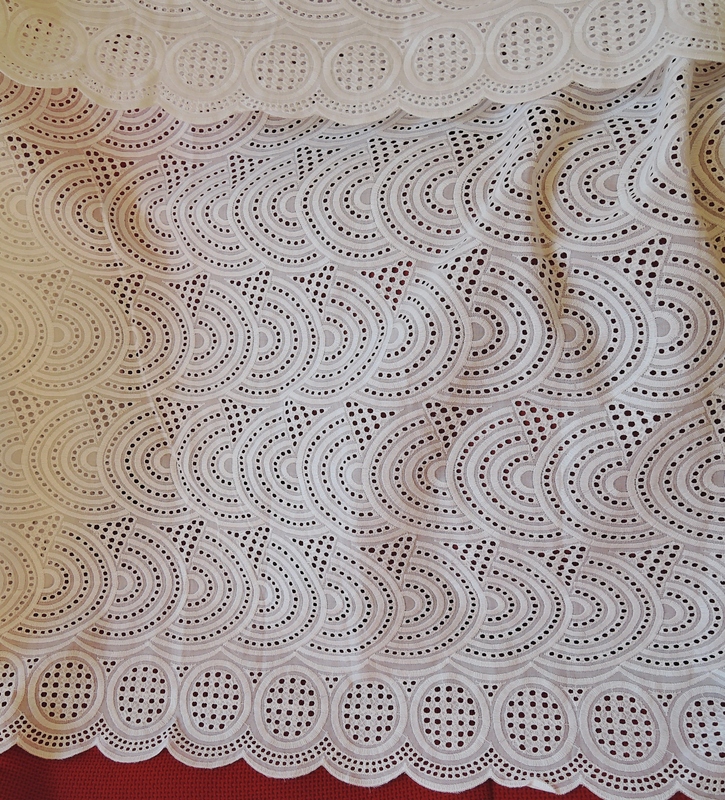 The rest of the material has been used on a dress, but since I made a mistake while sewing, it seems too much of trouble to start fixing it, so every time I´d rather pick a new project and the dress is currently in a dormant phase. 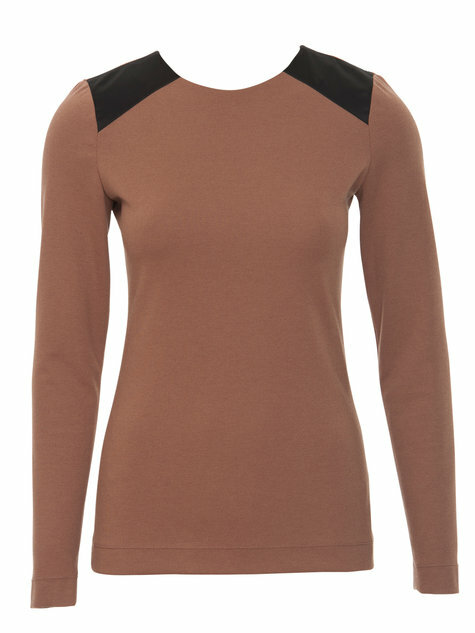 I actually used the facings on that top, as the pattern calls for. 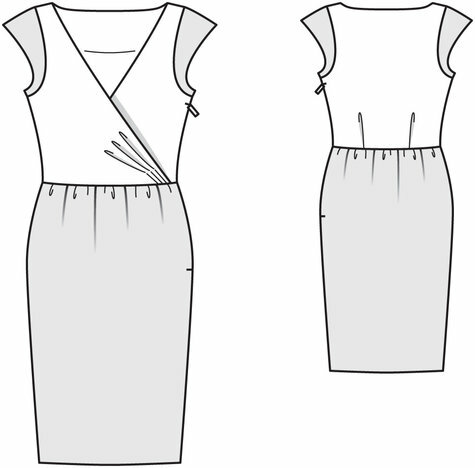 Just skipped the back slit once again, but sewing the neck hole facing with a tight zig-zag stitch gives a lot of extra stretch and more comfort while wearing the top compared to the bias tape method I used on the previous version. 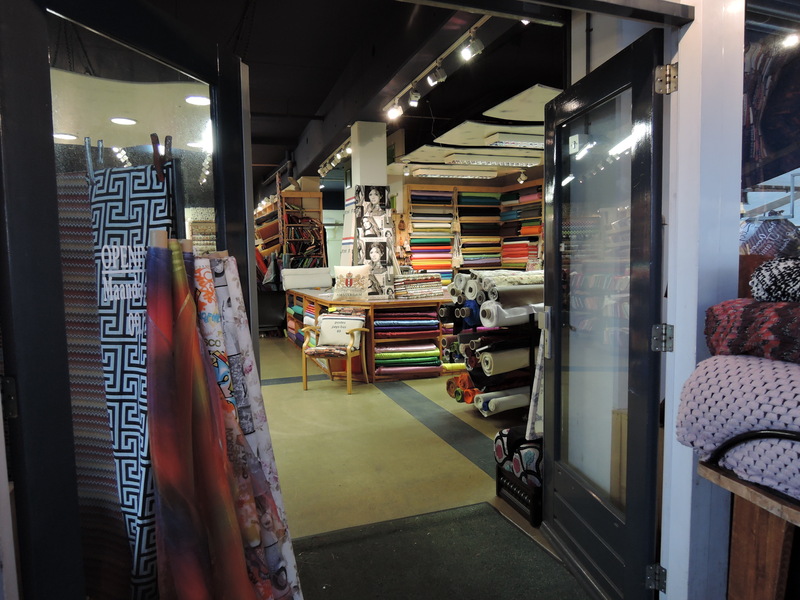 While in Amsterdam, one of the main attractions for me were the fabric shops, of course. 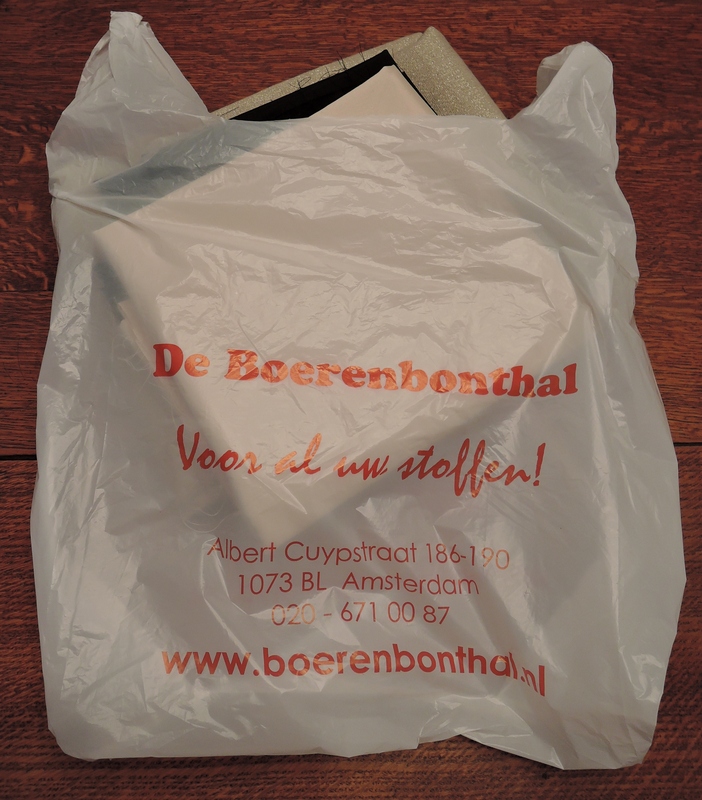 I try to bring some fabric with me from every trip and of course I wanted a piece from Amsterdam as well. 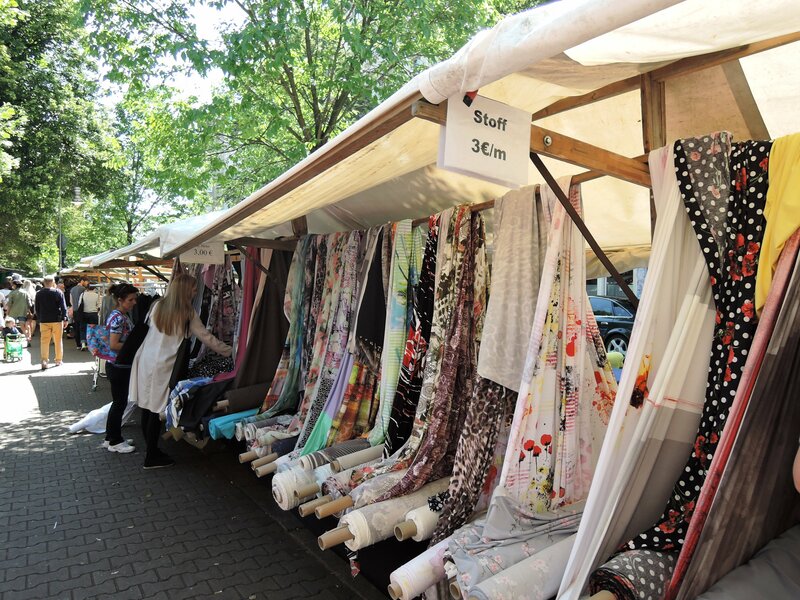 Thankfully it seems that most of the fabric shops in this lovable city are gathered at the biggest street market of Holland (as it is advertised), named after the Dutch painter Albert Cuyp – Albert Cuyp Markt. 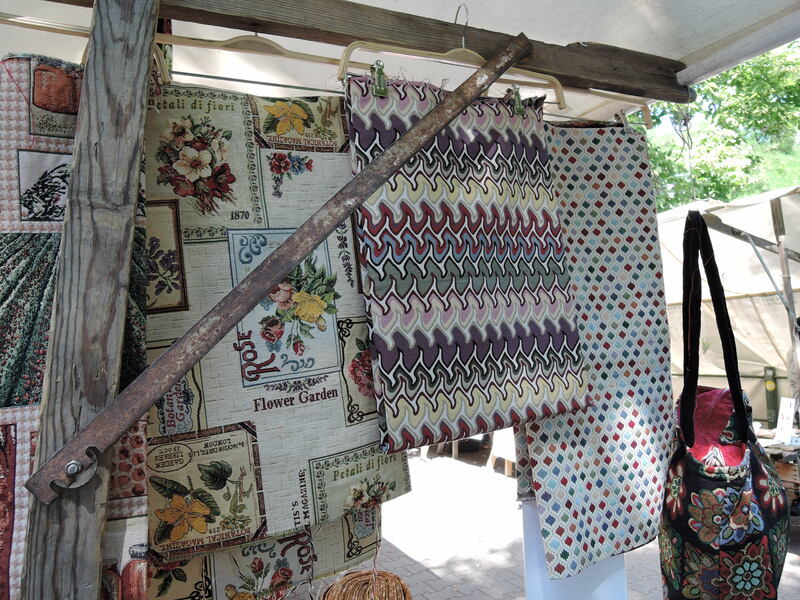 You can find pretty much everything on that market and the fabric shops have set out only samples of their goods, just to lure you into the shops where the rest can be seen and bought. 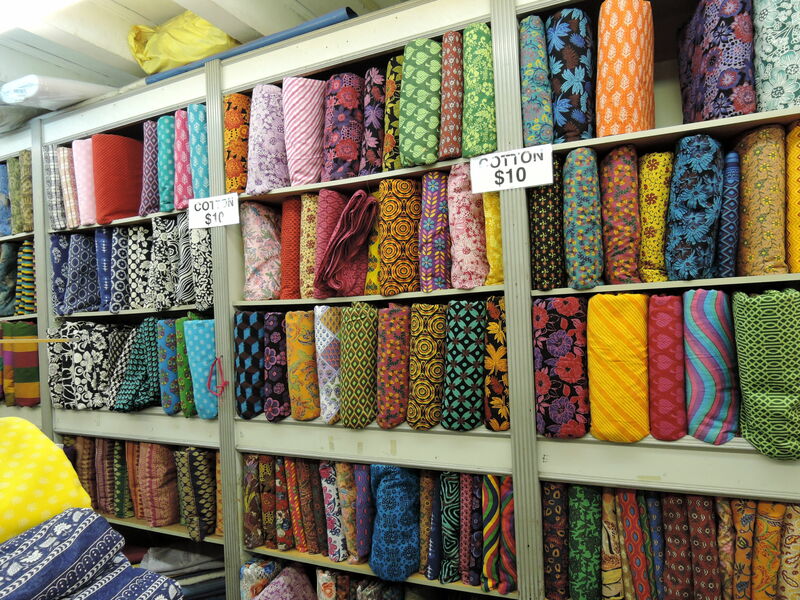 I think I must have been to six or seven fabric shops on that market, some selling also expensive silks and wools and some nothing really noteworthy. 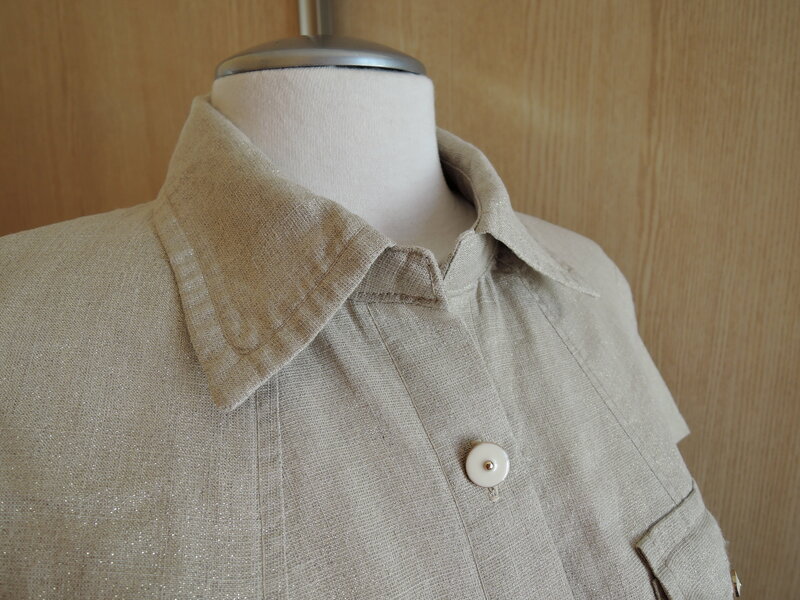 In the end I only shopped at one of the stores, since they offered stretch lining at a very good price, plus I found a gorgeous beige/golden linen with a Giorgio Armani tag on it, for which I think I paid a bargain price. 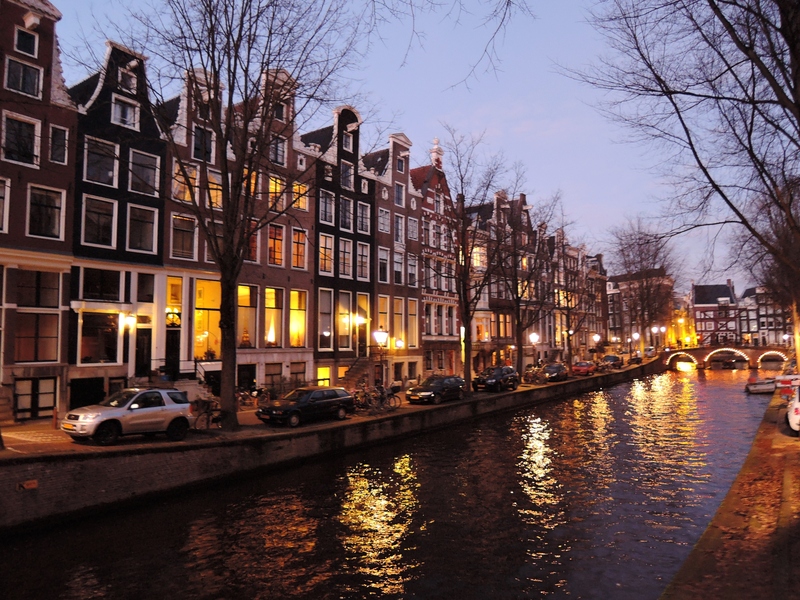 The most impressive thing about Amsterdam were the canal-side houses. 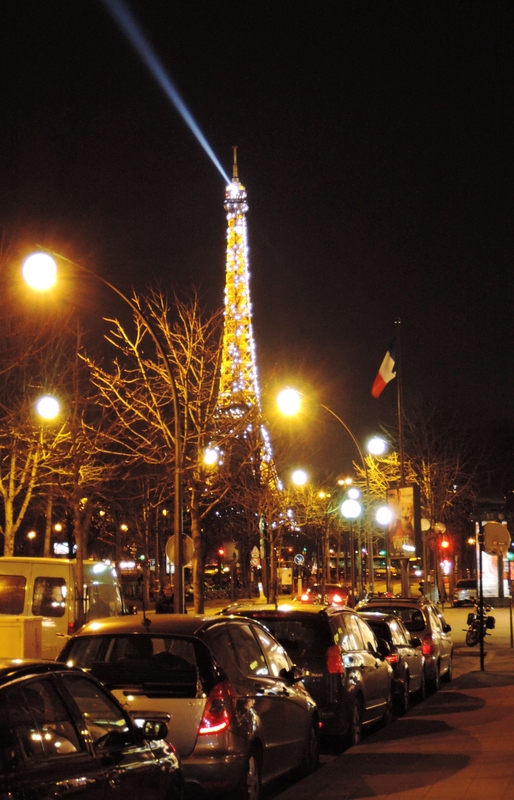 I´d love to live in any of them, they look so cosy, especially at night. 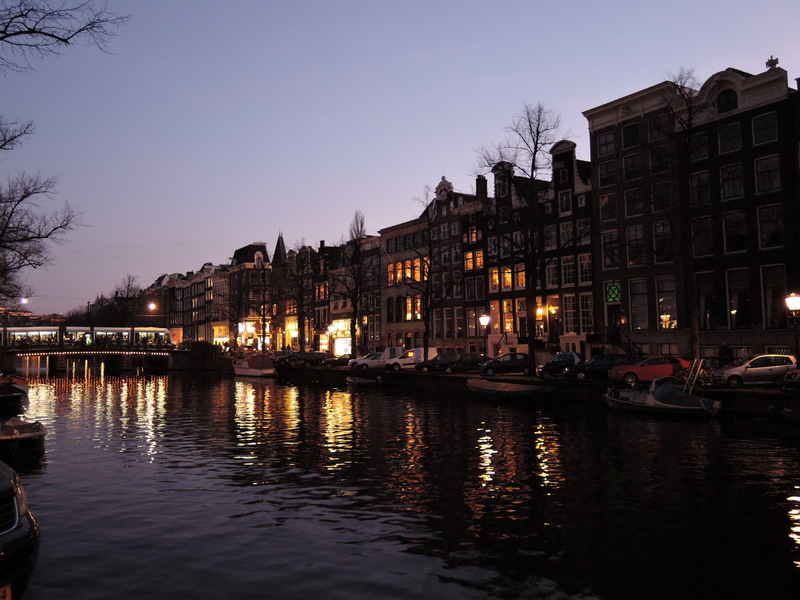 And definitely Amsterdam and Holland in general deserve a longer stay to explore more and deciding by the few days I spent there, I most probably will return. Besides, I didn´t make it to the famous Kantje Boord, which Cidell from Miss Celie´s Pants has written passionately about!